Margaret's is Ireland’s leading producer of Bord Bia-approved free range eggs and Ireland's only producer of pasteurised eggs for the retail market. 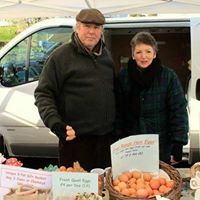 Using traditional farming methods and always ensuring exclusive free range egg production, Margaret and Leo Farrelly have been paving the way for innovation within the egg industry, always producing the highest standard of free range eggs. 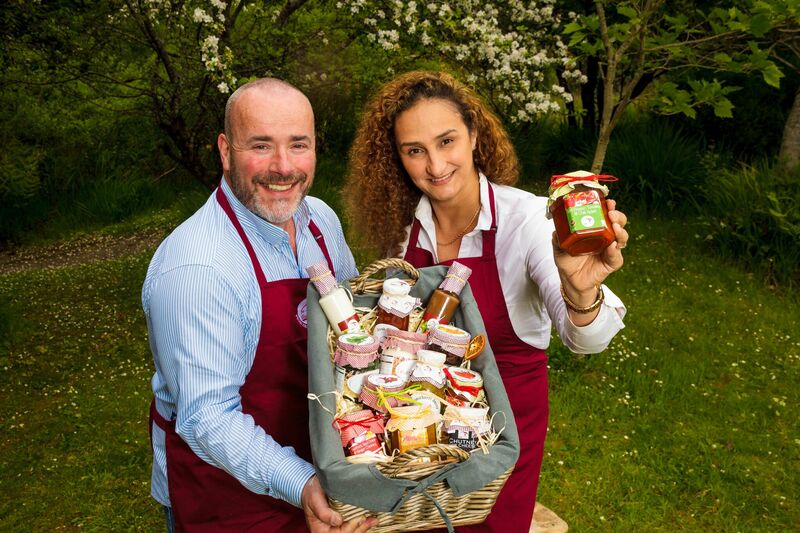 Gran Grans Foods is a family run business, located in Kilchreest, Loughrea, Co. Galway, dedicated to the production and distribution of Irish Artisan Products from Jams, Marmalade, Meat sauces to Dressings, Infused Oils, Chutneys, Relishes, Dips and condiments. We are proud to use only natural ingredients in our products, with no preservatives nor additives, all done is small batches using traditional recipes. Our range also includes Gluten Free products. For over 23 years now we have shared the benefit of Aalgo's natural formula through a limited number of health spas, health shops, health farms, exhibitions, and now predominantly on the internet. The Mobile Farm is a unique outdoor classroom that is used to educate children and adults via a hands-on learning experience. The Mobile Farm unit safely and humanely transports animals to any school, company or event. 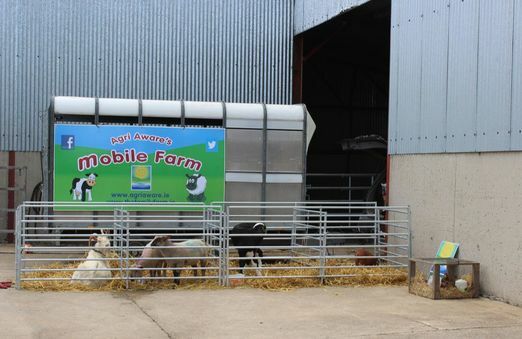 The aim of Agri Aware's Mobile Farm is to educate young and old about the different farm animals on Irish farms and their role in producing quality food that is safe and affordable for consumers. LEADER promotes sustainable development in Europe’s rural areas addressing economic, social and environmental concerns. 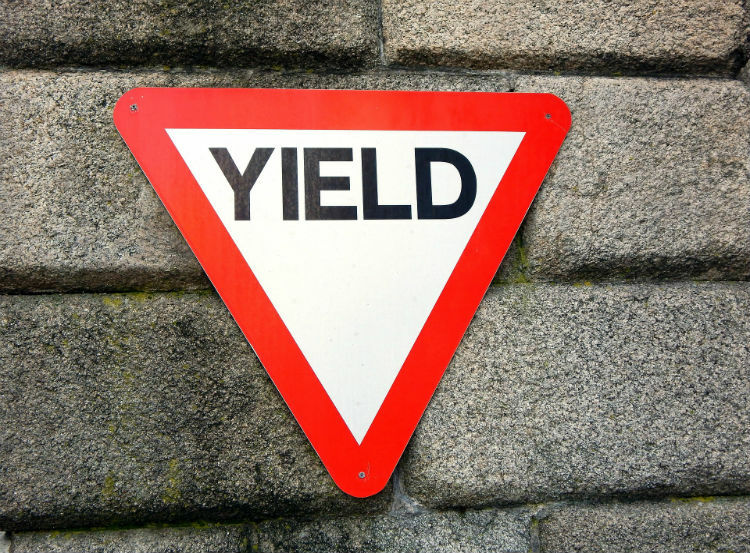 The multi agency Cavan Road Safety Working Together Group prepared the Plan to ensure a co-ordinated, collaborative and consistent approach to improving safety for all road users. Isco Food Traders takes its name from its founders surnames Paul Ianus and Luke Coffey. The pair met whilst studying business at Trinity College, Dublin and have a background in product development, ingredient sourcing and brand building. Dine-In Hotels, Ireland is a dynamic sales incentives and promotions company providing travel, leisure and lifestyle incentives to thousands of satisfied customers. We have become one of the market leaders in Travel, Leisure and Lifestyle Promotions and Incentives. As a totally independent agency we can create the best promotional solutions for our clients without any vested interests getting in the way. Errigal Country House Hotel, a luxury four star hotel is located in the historic town of Cootehill, Co. Cavan. The Errigal Hotel is family owned and operated and is renowned for its warm welcome and traditional Irish hospitality. 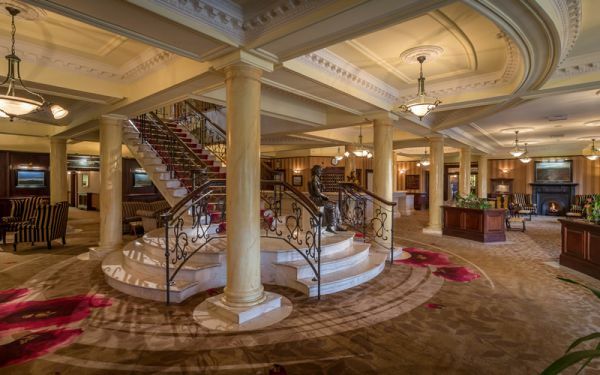 This Cavan hotel is located within 90 minutes drive from both Dublin and Belfast, the Errigal Country House Hotel is the ideal place to escape to for a relaxing hotel break. The purpose of the Older People’s Councils is to ensure that the voice of the older person is heard loud and clear at the Alliance table. The Older People’s Councils will often generate ideas for innovative and creative age friendly projects, tackling a range of issues from isolation and loneliness to fitness and active ageing. 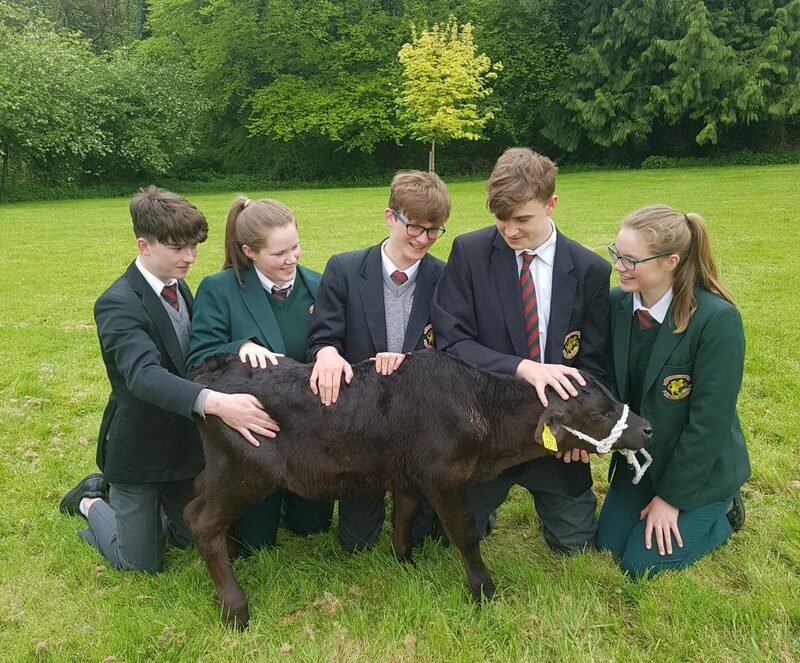 As one of six finalists in the Certified Irish Angus Beef School’s Competition, these Royal School students will receive a calf at the ploughing championships in September 2018. The students will then rear the calves for 18 months under their given theme “The value of Irish Angus in Production System’s” until slaughter. The final of the competition will be held in spring 2020. We are an events company that recognize the importance of getting everything right for our clients. Passion, creativity and quality delivery underpin each event we create. Our highly experienced professional events team will listen to your requirements and work tirelessly to create an event concept that surpasses your expectations. BeeActiv Ltd was set up in August 2014 by Conan McDonnell BSc and Dr. Michael Geary through their shared passion for beekeeping and love for nature. Michael tends to his bees in the majestic Golden Vale area of Tipperary and Conan cares for his bees just outside the picturesque village of Adare in Co. Limerick. Michael & Conan both strongly believe in the medicinal properties of honey and bee products. As experienced chemists they aspire to learn and explore the science behind herbal plants, medicinal honey and the therapeutic benefits of bee pollen and propolis. Based in the centre of Cavan Town. We love to help you celebrate. 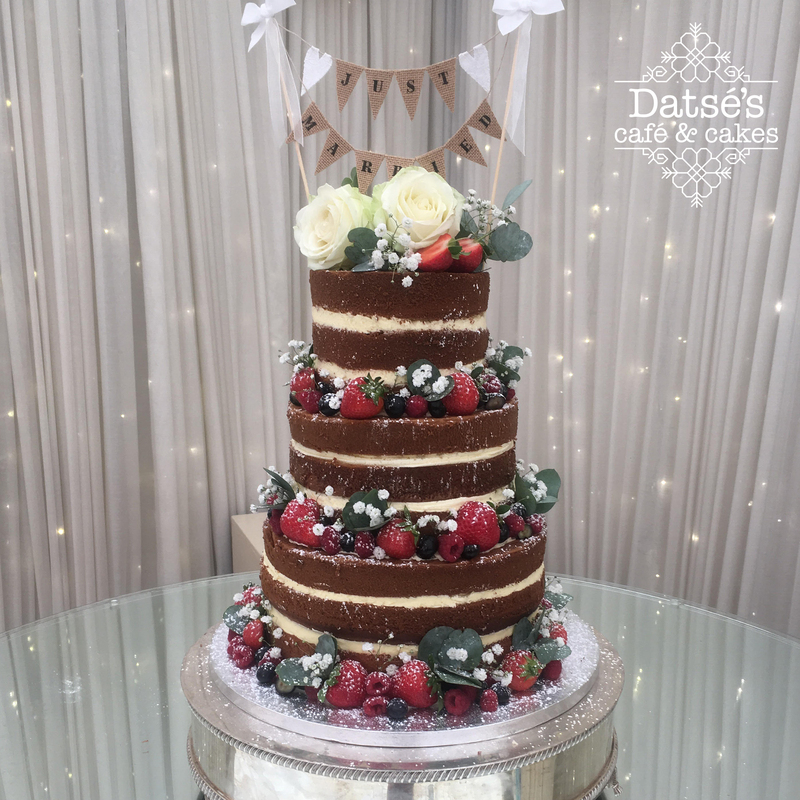 Talk to us today to plan the perfect cake for your special occasion. Find us on Facebook and Instagram to view cake design ideas. As long as I can remember I've had a creative side! I've always loved crafts & making things from raw materials. When I got a chance to go to a woodturning class in my late teens I was hooked! I found my calling as some might say.. As a student I was always willing to learn & improve my skills, ten years on I'm still learning and still have that same passion as when I started. Living in the heart of Ireland is a true inspiration & inspire me is exactly what it does! Being able to take a raw material and create something beautiful makes me feel gifted. I hope you enjoy my craft & creations as much as I enjoy making them. Awaken your skin with a restorative cocktail of botanicals treasured by women since ancient times for their health- supporting and beautifying properties. 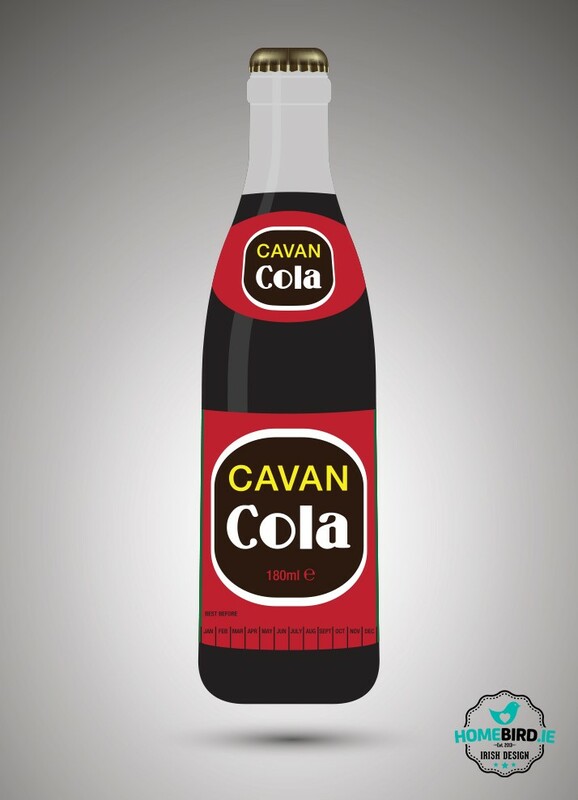 Handcrafted in the Cavan countryside with a splash of ancient knowledge. 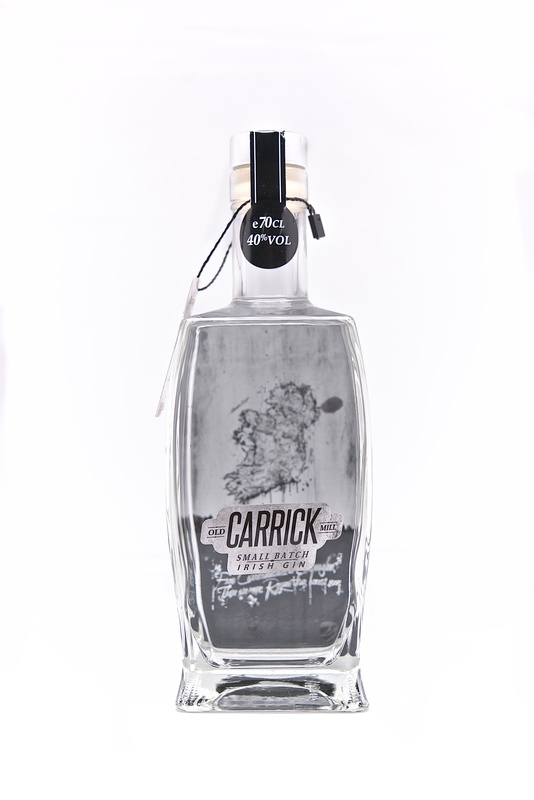 Old Carrick Mill is an Artisan Distillery, Operated From an Old Flour Mill dating Back Over Two Centuries and lies Quietly Nestled into the Rugged Landscape of Ireland's Ancient East in Carrickmarcoss Co. Monaghan. Sussed is a small company with a giant goal. Everything we do is for the goodness of your heart. We source the finest ingredients from our natural world to create sustainable foods which can help you live a healthier, happier lifestyle. 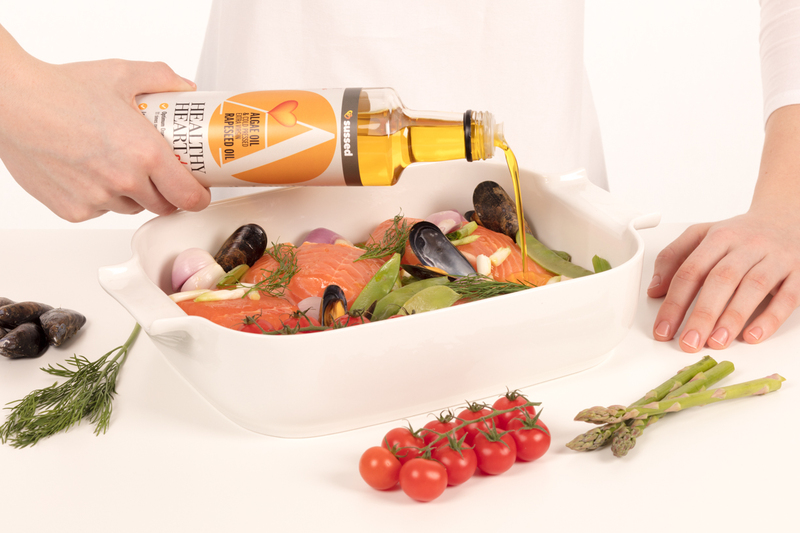 The only oils fully endorsed and recommended by My Nutrition Ireland. Suitable for Vegans. 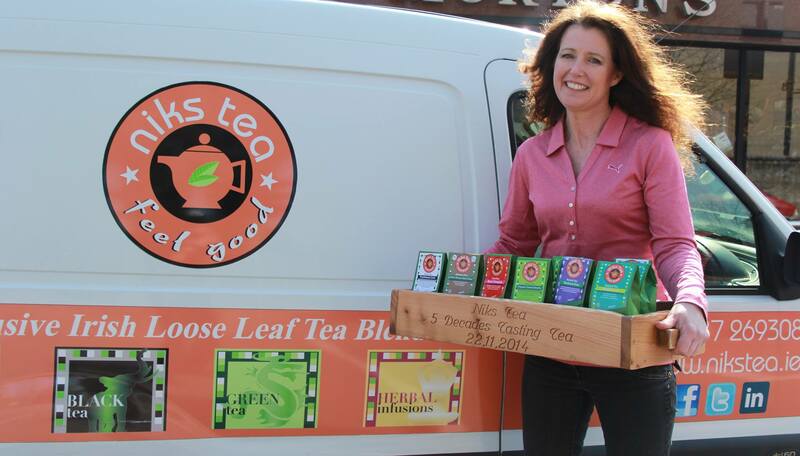 Niks Tea is an wholly owned Irish Company supplying a beautiful selection of award winning loose leaf teas, blended with real fruits, herbs & spices. Ingredients have been specially combined following extensive research with our customers and tea enthusiasts to create a range of teas that suit the Irish pallet. Tom & Ollie are agents for the brand MezzeMagic, and have great European contacts for all things Olive, pesto, tapenade, and hummus, with over 65 lines made in Broughshane, Co. Antrim. Tom and Ollie are proud members of Food NI. The aim of the County Cavan Museum is to collect, conserve and ultimately display the material heritage and culture of County Cavan, for the benefit of the public. Exhibition galleries feature unique artifacts dating from the stone age up until the twentieth century, with material spanning over 6000 years of occupation in Cavan. Home to a lifesize replica of a World War One Trench and an 1916 Dublin Streetscape also help to bring History to life. 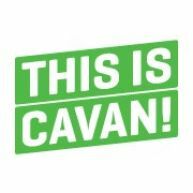 ‘This is Cavan’ is the official tourism website for County Cavan. It features information that is relevant to travelers who are thinking about and actively planning a visit to Cavan. 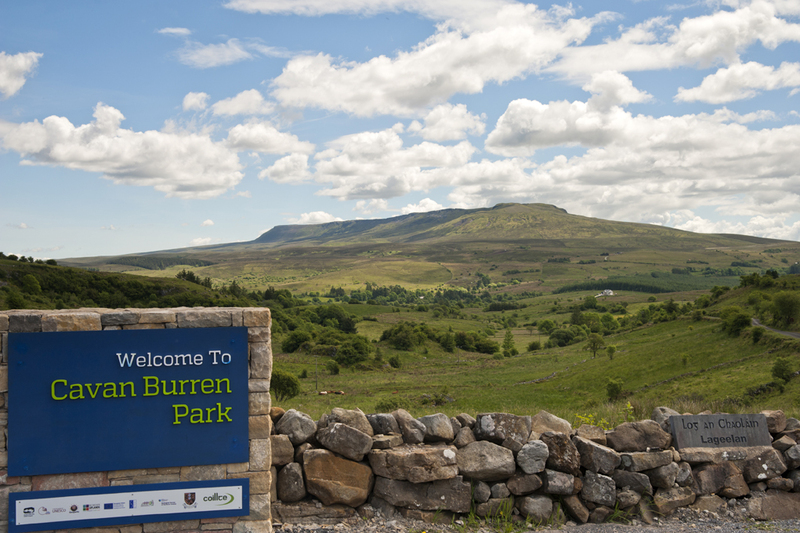 Through this site, potential visitors can learn about the welcome and vibrancy of County Cavan and how to make their visit a fantastic experience. The Marble Arch Caves Global Geopark contains some of the finest landscapes in the north of Ireland. Ranging from rugged uplands, lakes and forests through to gently rolling drumlins, the landscapes of the Geopark represent a complex Earth history dating back as far as 650 million years ago. With evidence of mountain building and destruction; searing hot deserts and warm tropical oceans; and of icy wastelands and water-worn caverns, the rocks and landscapes of the Geopark are nothing short of amazing. Ulster Bank meets the needs of personal and business customers. We are committed to building a sustainable bank that serves our customers and contributes to our economy, society and communites. We believe in giving back to our communities through our staff, our community investment programmes and our sponsorship of the things that matter to our customers. Bear Essentials houses the largest collection of Teddy Bears in Ireland. We have over 800 different products. 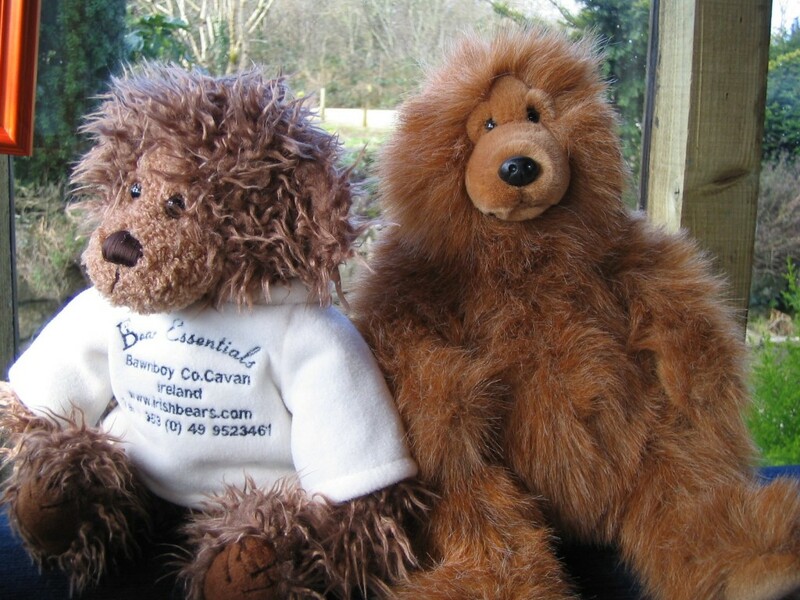 Bear Essentials own brand is Irish Made and all our collectable teddy bears are one-off limited editions. Made for timeless appeal – Made For Memories! 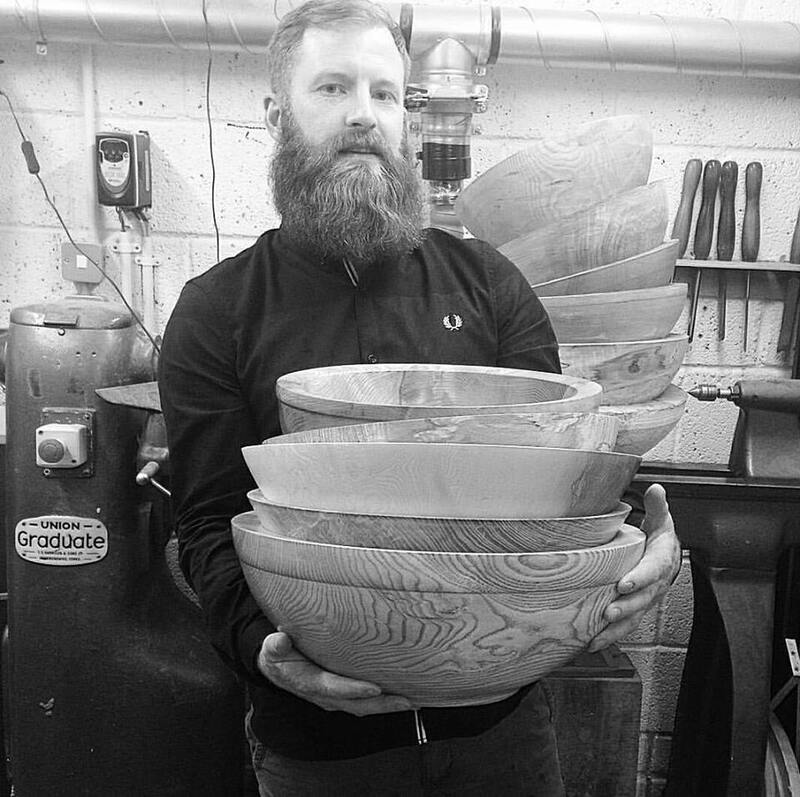 We want to ensure that the rich craft heritage of Ireland is safe for the future by teaching and demonstrating our skills to people of all ages. 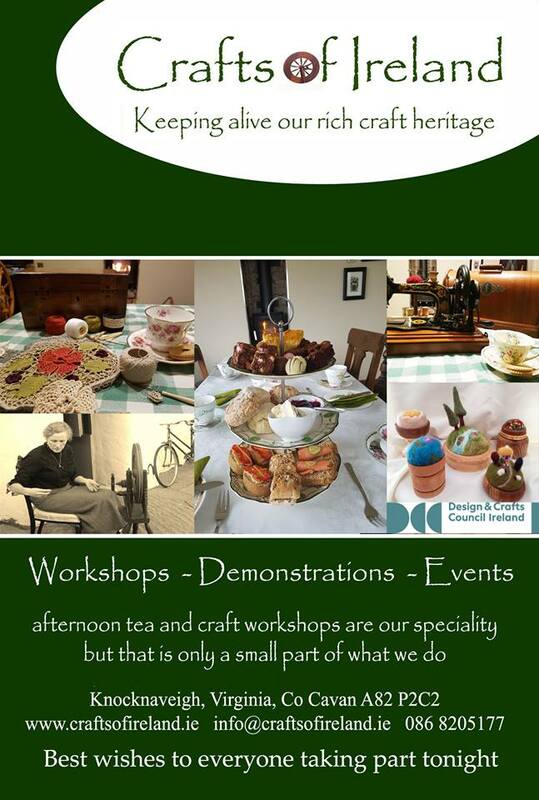 afternoon Teas and Craft Workshops are our speciality, but that is only a small part of what we do. 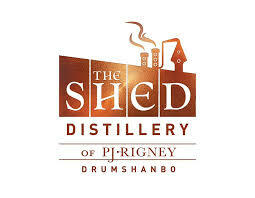 In deepest rural Ireland, on the edge of a lake in Drumshanbo, Co. Leitrim, is the home of the Shed Distillery of P.J. Rigney Drumshanbo. Full of his experiments for herbaceous gins, the purest potato vodka, the tastiest liqueurs and the mellowest hand made Irish Whiskeys. Harry's Electrical Is A Family Run Business And Also A Member Of Europe's Largest Electrical Retailer Euronics. It's open 7 days a week, for all your Electrical needs. At The Wooded Pig, we are passionate about producing the highest quality Irish charcuterie using ethically raised free range Irish Meat. 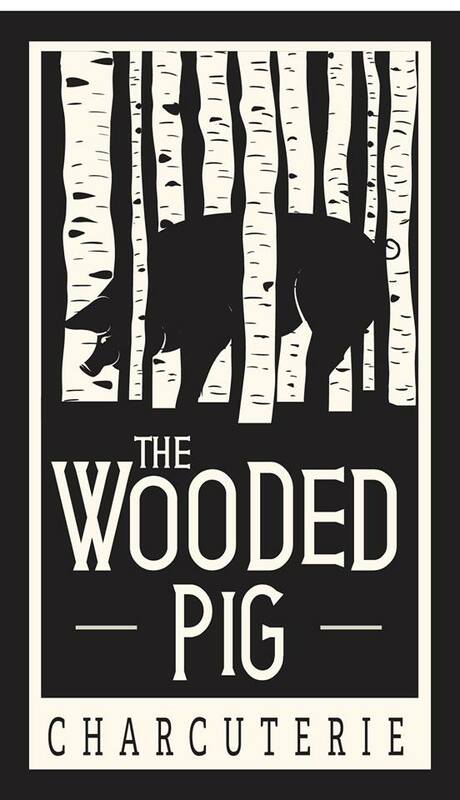 Using traditional continental curing methods, at The Wooded Pig, we are embarking on a journey to develop a range of charcuterie products with an Irish twist. The pigs are raised on the farm and processed in a purpose built unit on the farm in to a variety of different products. Located at the Town Hall car park Cavan, the Cavan Farmers Market takes place every Friday from 10am until 2pm. It offers a wide range of Locally produced / made and sourced goods that can be purchased on the day. Virginia Show Society is made up of 200 plus members & is over 75 years in operation.In addition to the annual agricultural show the Showgrounds is used for a variety of community purposes including the annual Vintage Fair Day and the Pumpkin Festival as well as dedicated classes and other intermittent and fundraising activities. 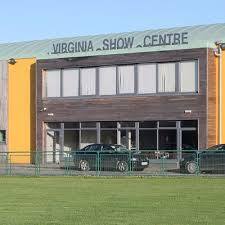 The Virginia Show Centre is a facility for the entire community, from the very young to the old and continues to foster a new sense of place among the existing established community and the new residents in the area. 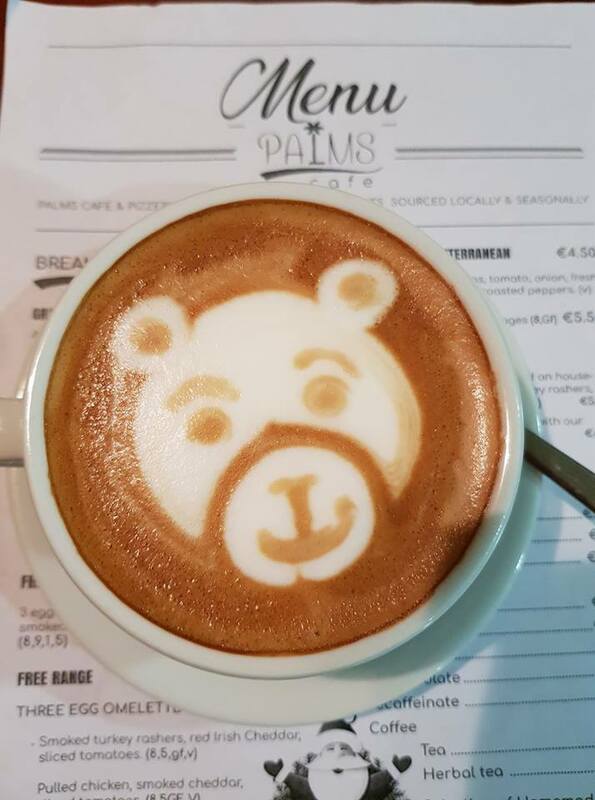 Located in the centre of Cavan Town, Palm's Cafe & Pizzeria offers a wide range of Fresh Homemade delights. We offer both Seated & Take Away Options. Why not try our new Bistro open every Friday & Saturday from 6-10pm. 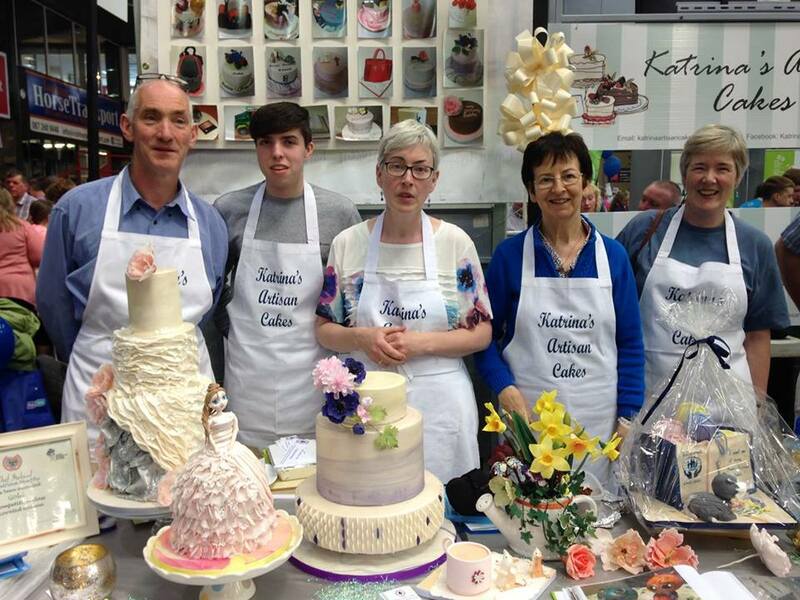 Katrina's Artisan Cakes makes customised cakes to celebrate every occasion. 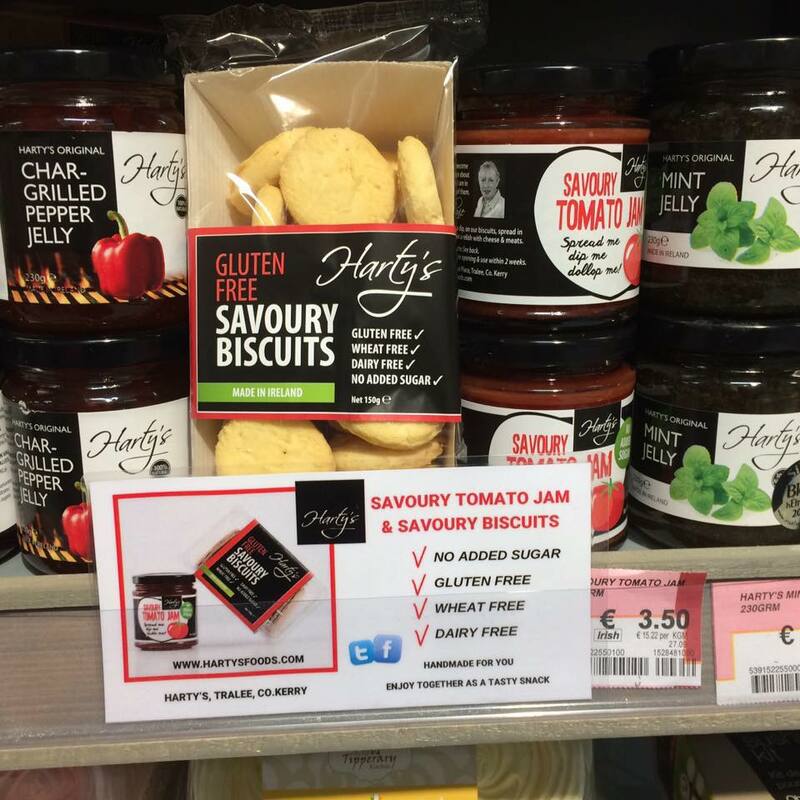 Harty's produce an award winning range of savoury jelly condiments. 100% Naturally free from gluten, dairy, additives & vegetarian. Ideal with meat, cheese and stirfrys! Rolf’s Fine Food was established by Rolf Jongbloed in 2013, a native of The Netherlands but now very much a Kerry man, who has developed his own range of homemade Jams, Chutneys, Relishes, Flavoured Sea Salt, Sauces and Vinegars. 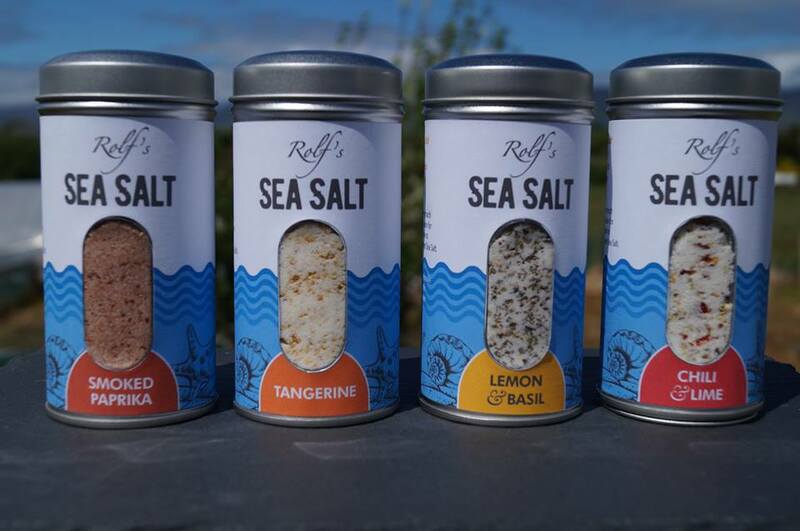 In 2017 Rolf decieded to fully concentrate solely on his Award winning Sea Salt range and cease the production and sales of the other products much to the regret of our loyal customers. Founded 2018 by Edita and Gytis Stamburai , The Natural Sweet Confectionery is an all-natural, Handmade collection of hard candy sweets. Derived from Natural fruits and containing, No Artificial Colours or Flavours, making it a perfect guilt-free treat. A wide range of flavours are available from Pineapple, Raspberry & Peppermint; to Cocoa and Hemp. The Cavan LEO serves as a "first stop shop" to provide support and services for those looking to start, grow and develop a business in Cavan. The office also acts as an information source and referral point for all state enterprise agencies and for other initatives, providing information on enterprise incentives, business structures, taxation, regulatory obligations, workspace, market research, planning etc. Finnegan's are award winning specialists, dedicated to cultivating the perfect potato. With the aim of increasing the image and profile of potatoes, the Finnegan brothers bid to boost potato consumption by making the potato a more fashionable part of modern day meals and a healthy, convenient food for consumers on the go. 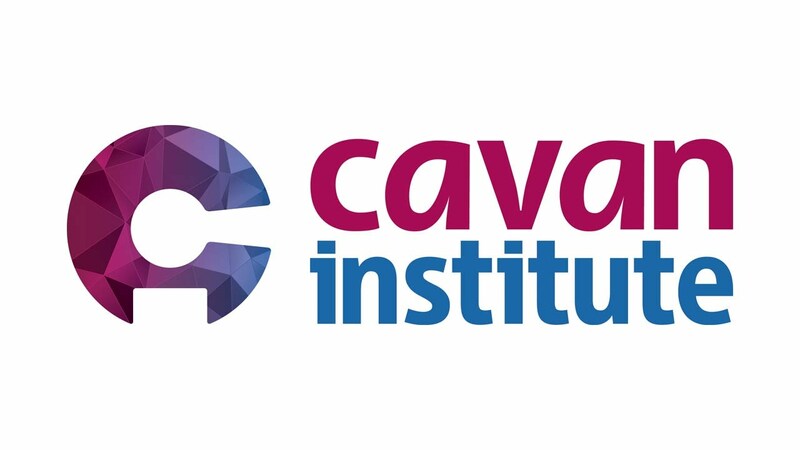 For over 25 years, Cavan Institute has provided the highest quality education and service to the people of Cavan and beyond. We have been at the cutting edge of developments in Further Education through innovative course development. The Institute's campus spans over four buildings in the town with the main campus is located on Cathedral Road, Cavan. Our friendly and welcoming ethos, will ensure that your time with us will be both enjoyable and fulfilling. Manor Farm Chicken was founded in 1775 by the Carton family. 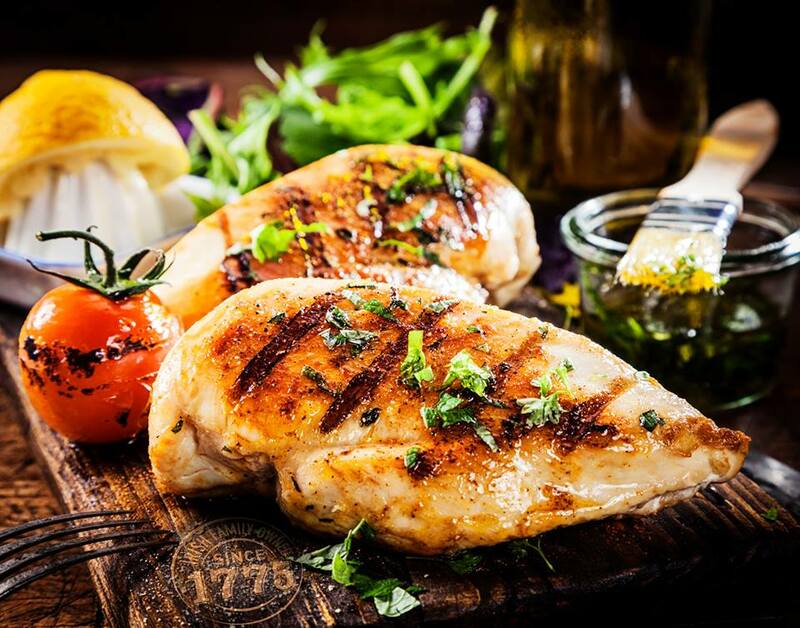 Based in Shercock, Co. Cavan, we source our chicken exclusively from Bord Bia approved farms. 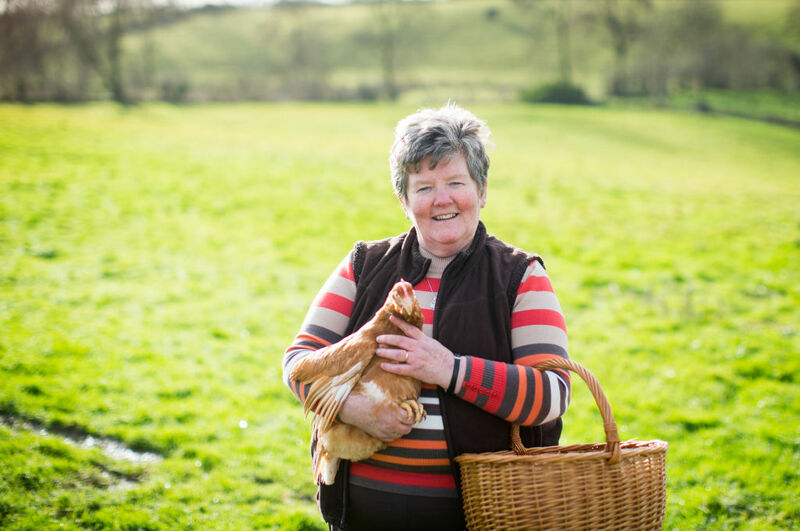 Our farming families have been growing chicken with us for generations now producing the finest quality succulent Irish chicken that only comes with these many years of experience. All of this delivers great tasting chicken from our Irish farms to your table. Manor Farm, Welcome Home. What started as a small family business in 1988 has since evolved into a global market leader, providing orthopaedic and medical solutions that improve patient care around the world. Throughout our history, Acumed has remained focused on the founders’ original vision of providing innovative solutions to meet the needs of the whole healthcare community, including hospitals, surgeons, and patients. We offer an allergy/intolerance service to the public - testing also for a deficiency in vitamins and minerals and candidiasis. 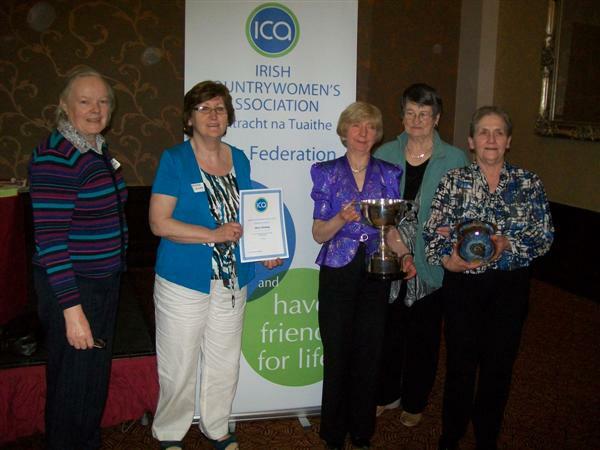 The Irish Countrywomens Association (ICA) plays a unique role in providing women with educational opportunities and the chance to build new skills, to take part in a wide variety of activities and to campaign on issues that matter to them and their communities. Being a member allows women of all ages the opportunity to do this and enjoy the friendship of others. 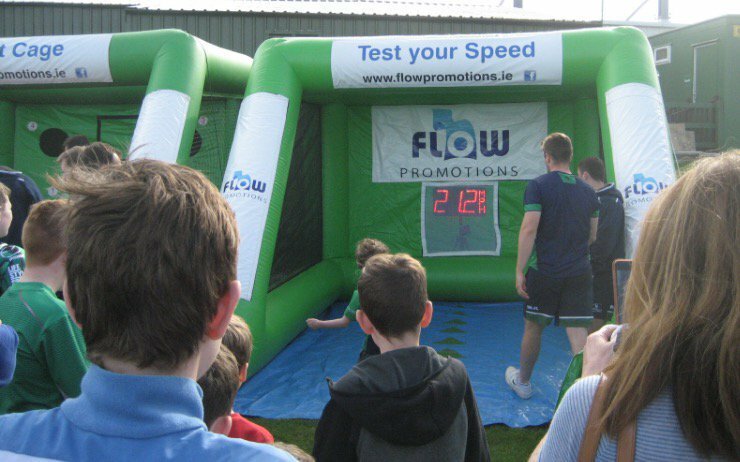 Events are organised at local, federation and national level and there is something for everyone to enjoy. Here in Cavan a variety of activities are organised throughout the year for our members ranging from classes in art and crafts; quizzes; computers; walks and outings to name but a few. Members, whether old or new, novice or experienced, are welcomed at all events and encouraged to take part. Members take part in an annual Charity Walk raising funds for Cancer Homecare. 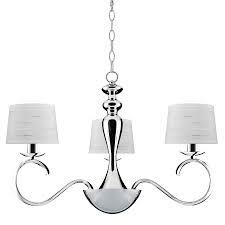 These are very well supported and are extremely popular. On the eastern tip of Co. Meath, close to the sea and surrounded by dairy farms and fruit fields, is the quiet village of Stamullen where you will find the Big Red Kitchen. I am inspired by a desire to preserve Stamullen's fruit and to preserve Ireland's jam-making heritage. Blending this family tradition with some modern flavour innovation and using the wonderful produce that I am surrounded by has resulted in my award-winning product range. Blakes Always Organic Food Company was originally set up as Blakes Organic Chocolate Ltd in 2008. Now based in Drumshambo, Co. Leitrim, we launched our very own blend of whole bean coffee which won the Bord Bia Organic award in 2017 for the best prepared product category, against stiff competition. 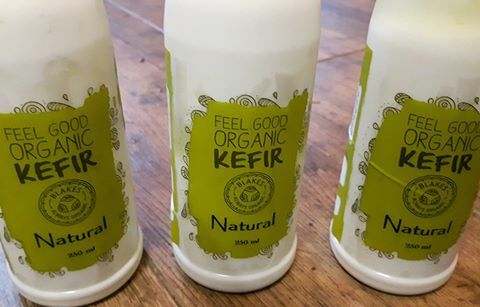 We have also developed another locally-produced organic product; Blakes Always Organic 'Feel Good' Kefir. This dairy product is rich in natural probiotics. A family owned and run business offering dry powdered spices and herbs ready for use to mix with mayo or yoghurt to make dips or mixed with oil to make marinades and salad dressings. Each 30g pack can make up to 1,200g of dip, though not all at once as it can be resealed and last up to a year. It can also be sprinkled dry onto meat for cooking and BBQ and also into pasta and rice, soups and stews for flavouring. 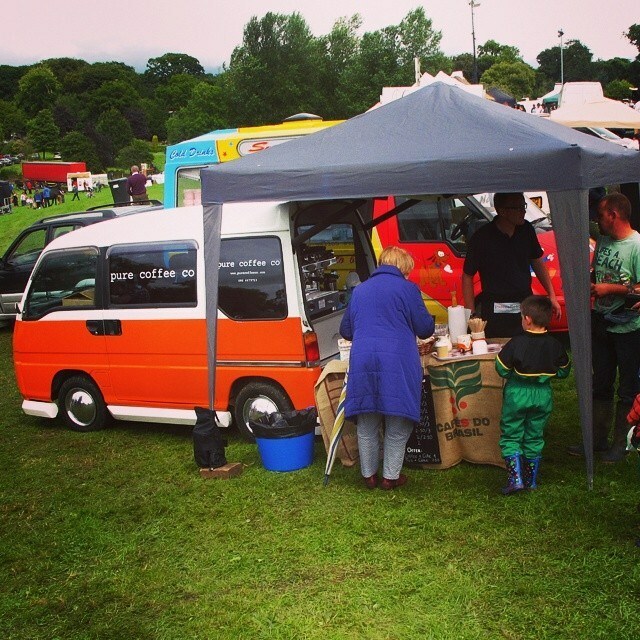 A unique mobile coffee unit located in the Midlands, serving coffee the way it should be ..... Freshly ground coffee of your choice, tea, hot chocolate plus yummy cakes. O'Cleirigh's is a family operation run by brothers Breffni and John. 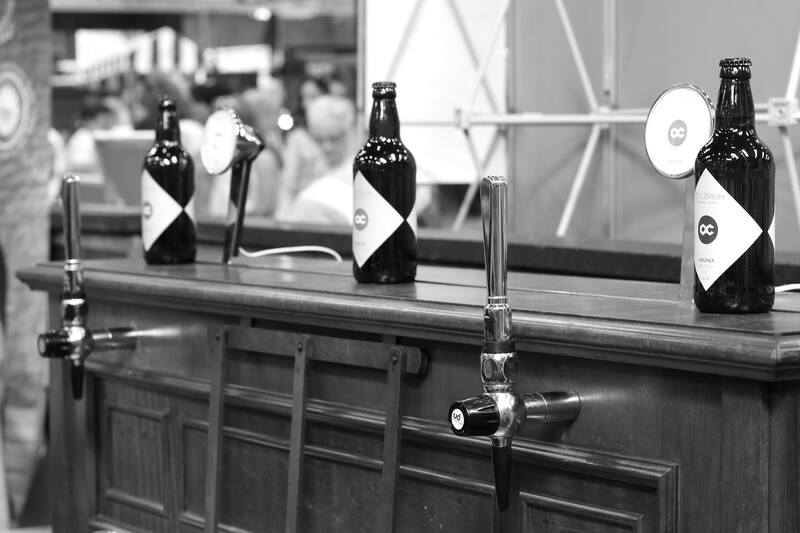 The lads are trained as an architect and electrician and they bring their technical skills to bear in every part of the operation, from label design to a very cool upright piano that they have adapted into a travelling bar. Their first beer is an American Pale Ale dubbed Virginja. It's 5.2% and very drinkable. It's hopped with delicious Citra and Amarillo. The beer is lightly carbonated which means you don't get that horrible feeling after a couple. Their newer Kulchie is a Kolsch style beer which is perfect for Summer drinking, again it features those lovely citrusy hops but this beer also has some biscuity malt to balance out the bitterness. We produce handcrafted flavoured cheeses, using traditional production methods. All of our award wimming cheeses are made using recipes gathered in South West Ireland. 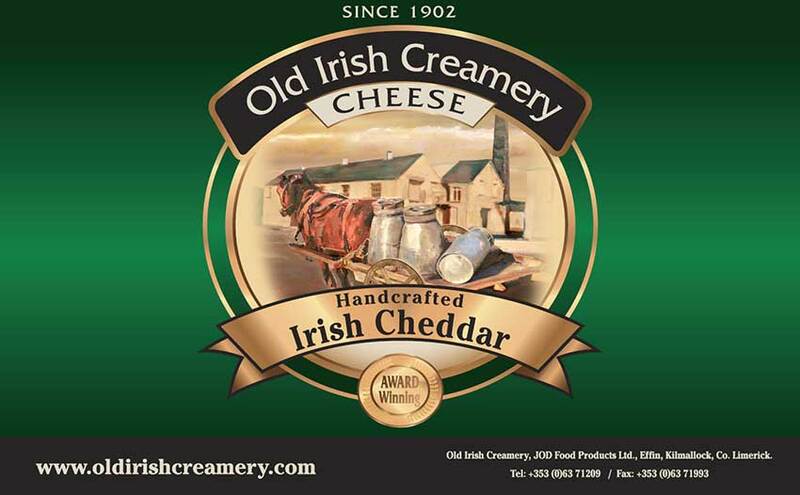 Cheeses in the Old Irish Creamery range have won Gold, Silver and Bronze Awards in 2008 and in 2009 at the worlds largest international cheese show. Only the finest cheeses are blended with choicest of natural ingredients to produce speciality cheeses with deliciously distinctive flavours for the discerning palate. Tasty, ready to eat beef snack, a great alternative to protein bars or crisps. 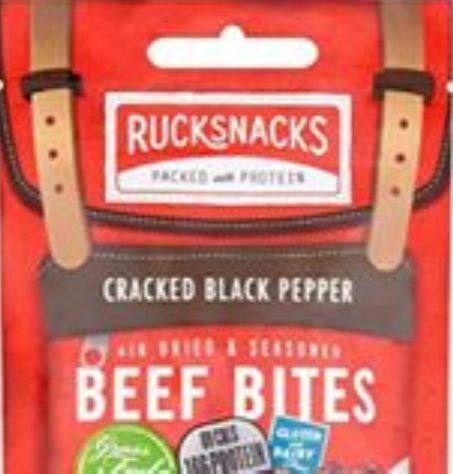 Rucksnacks are high in protein, no added sugar, gluten free and delicious. Rucksnacks is 100% family owned and we are immensely proud of that. Our five values reflect what is essential to us and we strive to exceed our customers' expectations. We're not perfect, but we promise we will make every effort to deliver the best beef jerky you've ever tasted! 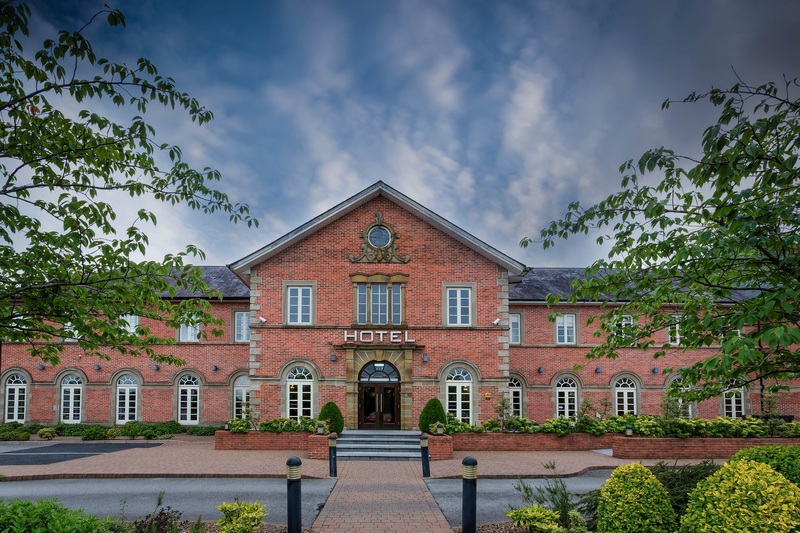 The Slieve Russell Hotel in Cavan provides luxury 4* hotel accomodation in a tranquil setting. Set in 300 acres, including 50 acres of lakes, the Slieve Russell Hotel Golf & Country Club with Ciúin Spa & Wellness Centre offers a unique experience in relaxation and leisure to our guests. Choose this 4* hotel and avail of all that is on offer - you won't be bored! Located just 90 minutes from Dublin, the Slieve Russell Hotel Golf & Country Club in Ballyconnell, Co. Cavan offers a haven of comfort and relaxation, a place where you will wish to return again and again. 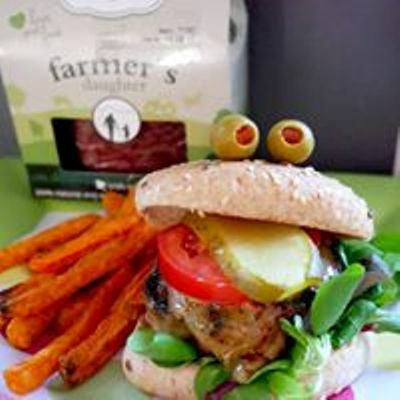 The Farmer's Daughter creates real food of the best quality with 100% traceable Irish beef. Free-roaming animals fed on a grass based diet are carefully looked after morning, noon and night to make sure thay are happy!! Born & bred on the family farm, 'The Farmer's Daughter' Dorene follows in the wellies of five generations of Irish farmers and butchers to create food that you can enjoy & feel good about. She has big boots to fill....! Her recipes are homemade with 100% natural ingredients. Her passion for food brings tempting new flavours to a range of family favourites with guaranteed natural ingredients, free range meat and no additives or preservatives. Our foods are made from foraged wild berries, flowers, herbs and crabapples picked on the family farm. We are a small family run Artisan Food Business located in Co. Offaly in the Irish Midlands. All our products are made by hand in small batches and we like to use old and almost forgotten recipes in the hopes of brining them to life again. It is a joy to see our children able to recognise the wonderful bounty that grows freely in our hedgerows and to enoy the whole process of wild foods. We see ourselves as caretakers and protectors of the land we live on as opposed to cultivators. Our knowledge and passion for great wine will help to guide you towards the correct wine to suit your choice of meal and personal taste while ensuring that all of your guests thoroughly enjoy the wine that you have chosen. 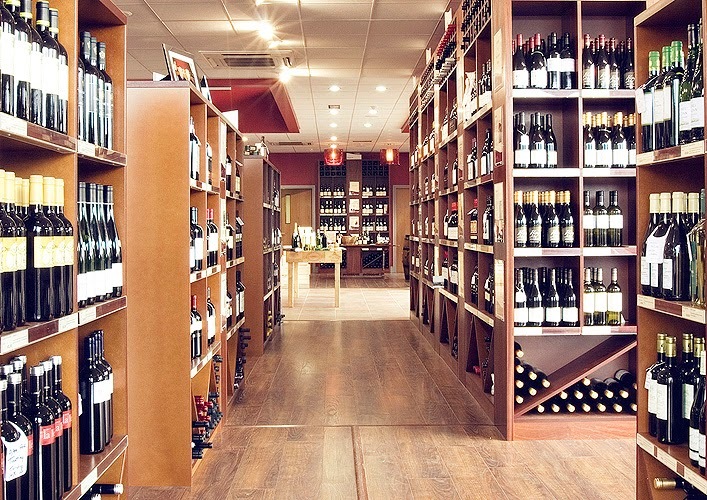 At Wines Direct we have years of experience in looking after the wine for any event and can ensure that you have the peace of mind in knowing that you have exactly what you require. Charlene's Wholesome Pantry in located in Ballinagh, Co. Cavan. After 9 years working in the food industry I decided to turn my hobby of developing healthy snacks into a business venture. 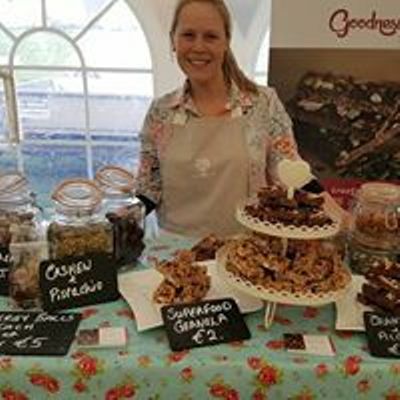 The business was set up in 2016 when I saw an increasing demand for my range of healthy superfood delights a the local farmers markets and food fairs. I started making the seed, fruit and nut slices and then very quickly moved onto the energy balls as they a great convenient snack to have on the go. I aim to make the products as healthy as I can using the best natural ingredients possible while at the same time making them a satisfying treat. 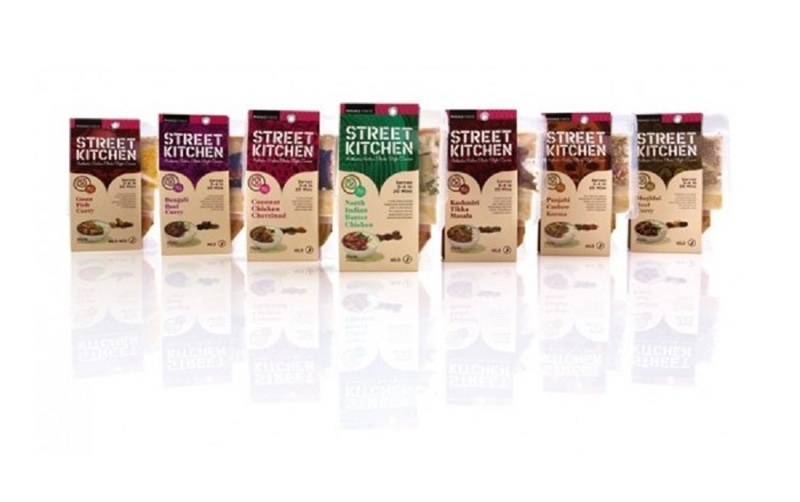 Within the range there are options for vegan vegetarian, paleo and wheat free diets. 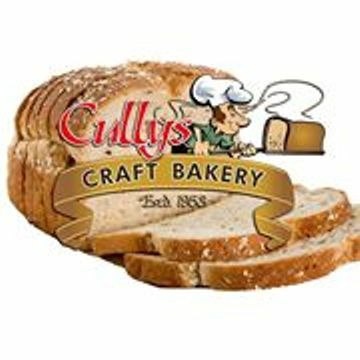 Cully's Craft Bakery was founded in 1953. The bakery is now run by Barney Cully whose son, Brian is now also involved havind completed three years in the National Bakery School. All our breads are baked during the night for guaranteed freshness. 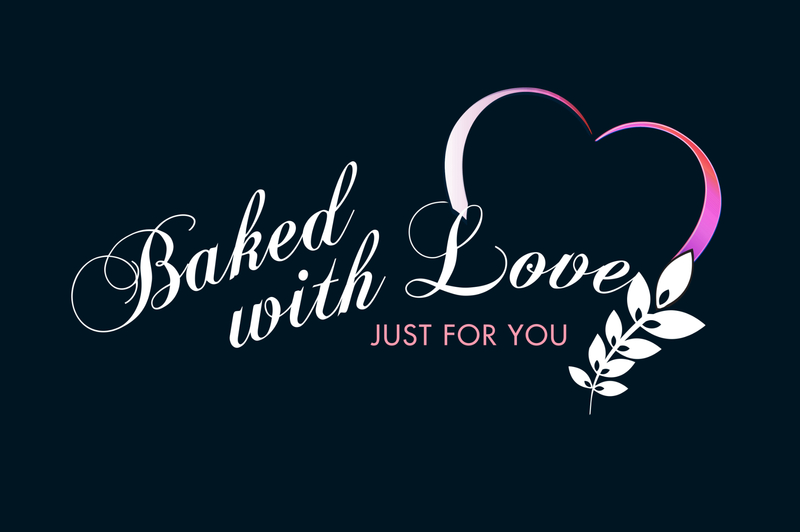 We bake the traditional way, using the Bulk Fermentation Process which ensures a delicious tast and the highest quality in every product we bake. Every step, from mixing the ingredients and kneading the dough, letting it rise and baking it, needs to be slow. We take time to do it - that is what makes our bread so great! Froggy's Crepes are from Kingscourt in Co. Cavan. 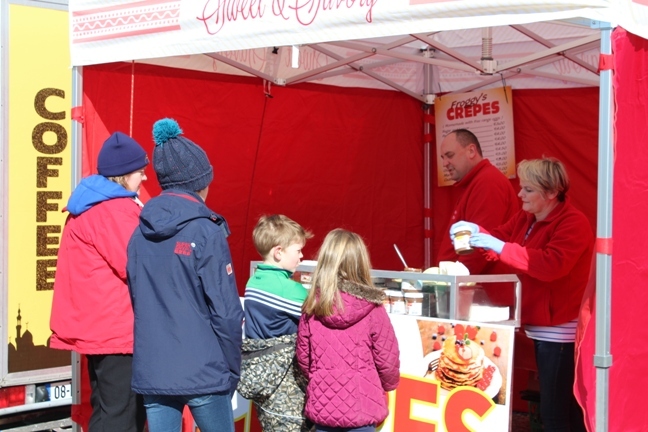 The irresistable homemade sweet crepes are made with free range eggs and the choice of filling is hugh, such as; traditional lemon and sugar, Nutella, Mars Bars or how about chocolate buttons with strawberries and a drizzle of honey? 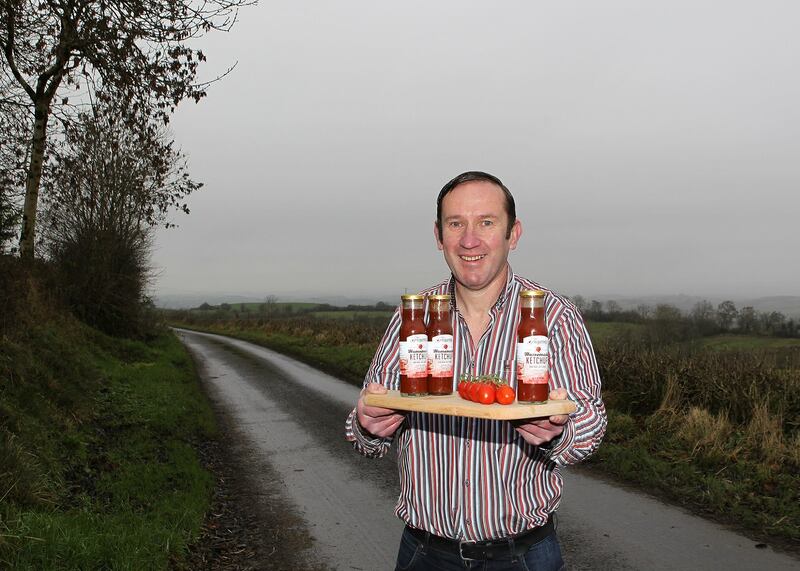 Based in Cavan, Frank Fitzpatrick's fond memories of his mother's delicious meals inspired him to make a ketchup that recreated the wholesome flavours of her cooking. He even used her trick of adding a drop of poitín for a truly unique flavour. The result is a gorgeous versatile ketchup, great with steak, burgers and cheese, that can also be used as a cooking sauce to enhance flavour or as an alternative to pasta sauce. With over 100 years of speciality food production, we are passionate food producers that manufacture an exquisite range of products including sausages, black and white puddings and speciality hams amongst others. We also fully prepare and manufacture our award winning spiced beef on the premises. We want you to enjoy our wonderful artisan butchers products and discover the famous Herterich Butcher's 'Taste of Quality'. Indeed as well as our fine meat products we also want you to experience our second to none customer service that has served us so well through the years. Homebird.ie is the brain child of husband and wife team, Ronan and Orla Ward. 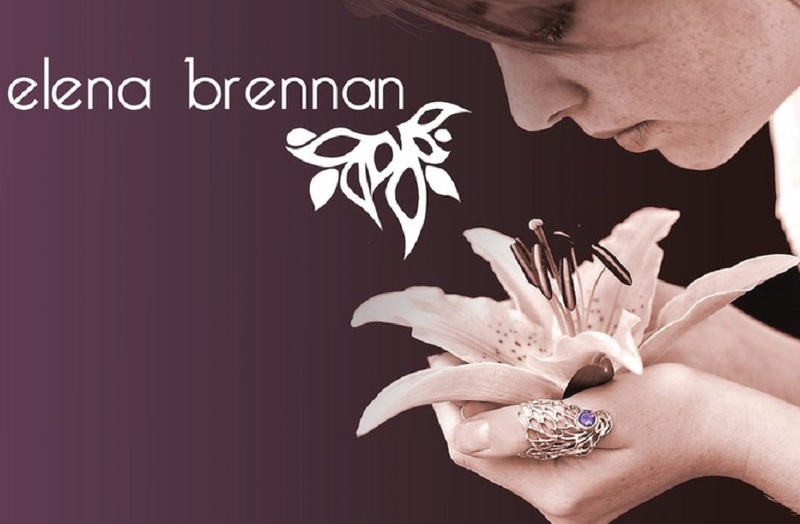 Based in Co. Cavan, we create beautifully designed artworks with an Irish twist. Perfect for your home, office or work space. Ice Cream Treats won an international innovation award in the World Dairy Awards for its new product Yomega 3. This exciting product is a new Greek style frozen yoghurt which is enriched with Vitamin D and Omega 3. 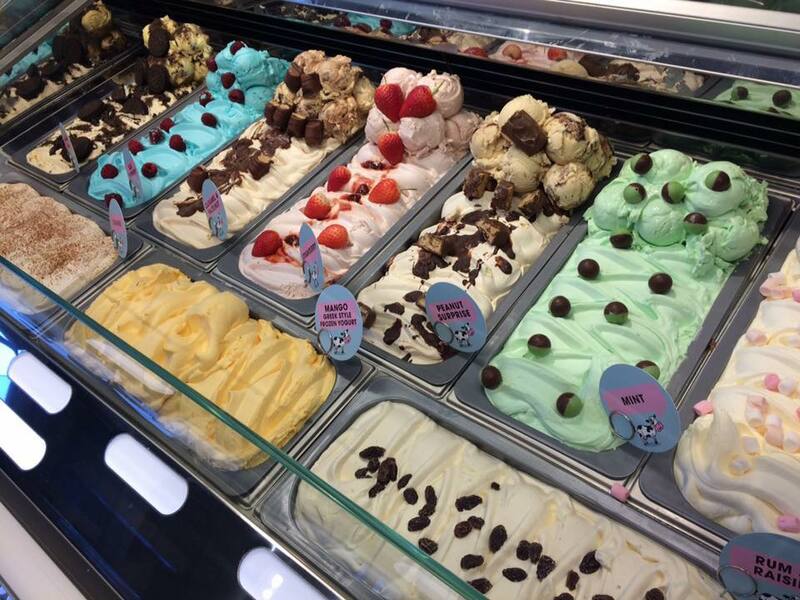 We also produce award winning luxury ice cream, using only the best ingredients and Irish diary. Our own unique interpretation of an Amish general store we visited over twenty years ago. We are blending the best of Amish, Irish and American traditions in order to help people be creative and self-sufficient. We provide a wide range of kitchenward, housewares and other unique items for the home, garden and workshop. Our range of coffees have to be tried, our good quality low acid coffee deserves alkaline water. We use Kangen Water, it's all about the water - 94% of a cup of coffee is water! Lakeland Dairies is a major dairy processing co-operative, which operates within a fifteen county catchment area across the northern half of the island of Ireland. The Group processes about one billion litres of quality milk annually into a range of value added dairy foodservice products and functional dairy food ingredients. Nicolas Bateau and Cyril Borie are from Bayonne, a city in the French Basque Country known as the chocolate capital of France. 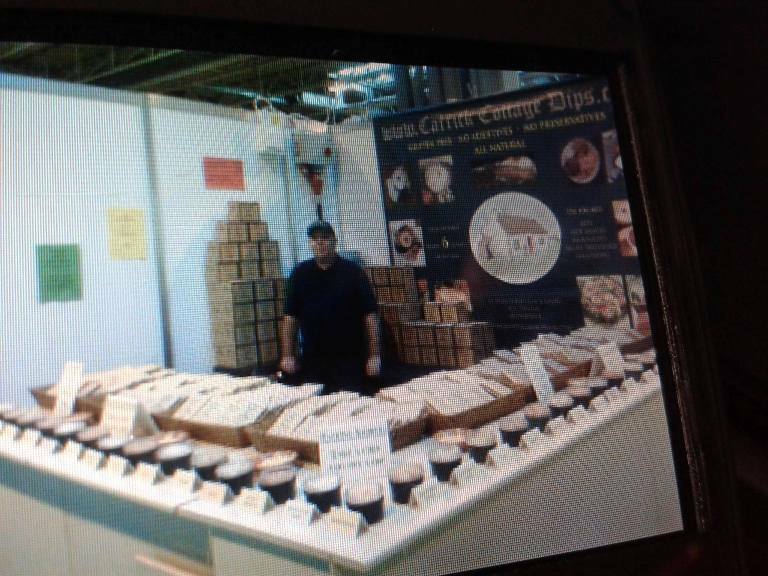 Our work as a chef and pastry chef brought us to Ireland and we set up L'Art Du Chocolat in 2013. 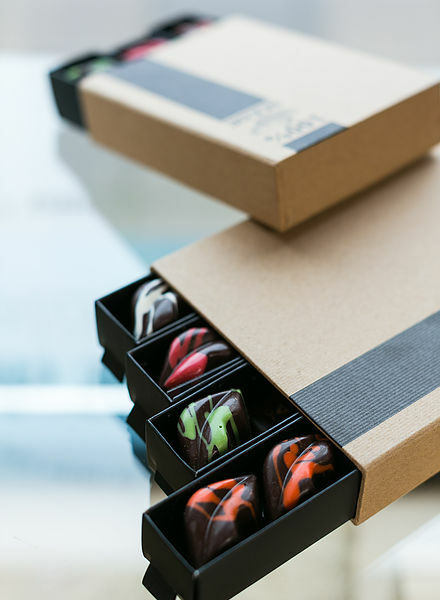 Customers can get a sneak peek at our process when creating sculptures and handmade chocolate. 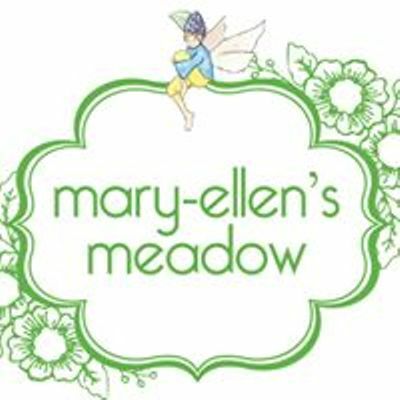 Mary-Ellen's Meadow Cordials are produced from a combination of homegrown and Mother Nature's organic fruit and flowers used in handed down recipes from times gone by which results in a delicious real fresh fruit drink from our childhood days. What makes them special are the real fruit flavours which are preserved thanks to the many secrets in the process of Mary-Ellen's recipes which she only shared with the fairies who looked after the bushes. Elderflower, Elderflower and Gooseberry, Blackberry and Lavender are just some of the lovely flavours of cordials we make at Mary-Ellen's Meadow. Delicious, fresh, quality Irish pork, bacon, chicken, beef and lamb products. Fresh meat at great value. 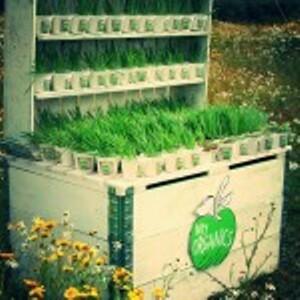 Here on Mulberry Meadow Farm we have pioneered the movement of micro greens and developed this exciting new product. It is a range of living salad, micro greens and wheatgrass. We have been working on this range for over 2 years and believe we now have it perfected. 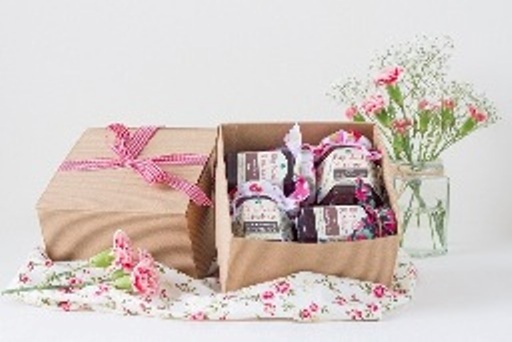 It is a new product to the world of organics and Mulberry Meadow Farm are committed to growing in an ethical manner. Italy in the heart of Cavan. 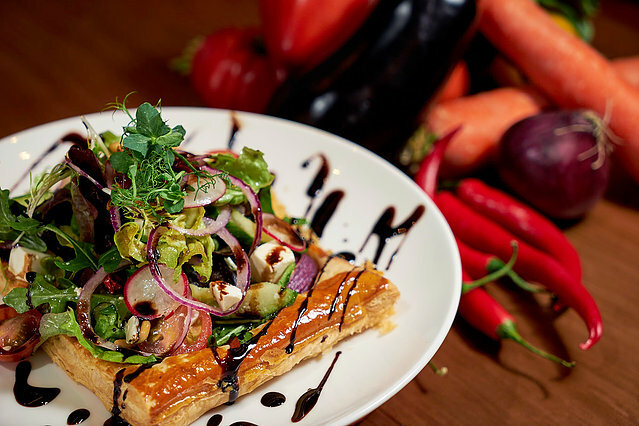 Based in Cavan Town, Barduccis offers a wide range of Italitian dishes from Calamari to a choice of pizza and pasta dishes, there is something for everyone. 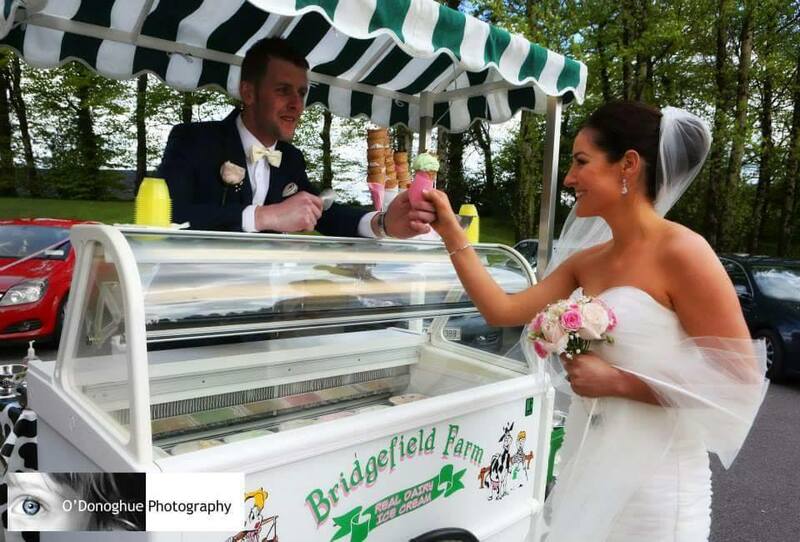 Based near Virginia in County Cavan, Bridgefield Farm Homemade Ice Cream is the home of luxury homemade ice cream in a variety of flavours. It's all in the taste. Vintage and modern buttons, beads and crystals are used to create delightful, colourful and individual pictures. No two pictures are identical, so you can be sure that your Buttony Things picture is uniquely yours. All pictures can be personalised, for example by the addition of name and date. Once completed, the picture is professionally framed, pictures can be made in sizes to suit. The range ensures there is a picture for every occasion, birthday, engagement, wedding, baby, first day at school, communion or just to say 'I'm thinking of you', a Buttony Things picture is the perfect gift. 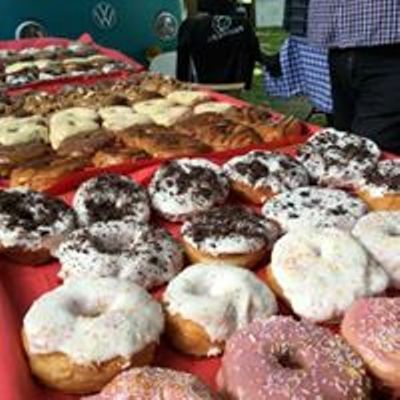 De-Lish Donuts is a family run business that specialises in yeast risin flavoured donuts based in Dunleer in Co. Louth. The centre of a donut is 100% fat free! Jackie O'Neill graduated in 2009 with an honors degreein Textile Design. My commercial art business 'Dotti Was A Deer' is a name through which I sell my limited edition paper and textile prints. 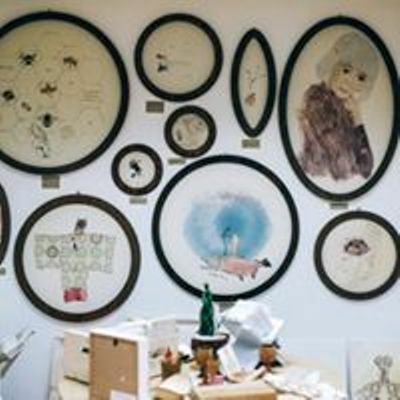 These are affordable art works, sold mostly through her website, trade fairs, craft fairs and exhibitions My personal arts practice through which 'Dotti Was A Deer' feeds focuses more on playing with unusual concepts and mediums in my studio and therefore always challenging myself and growing as a visual artist. 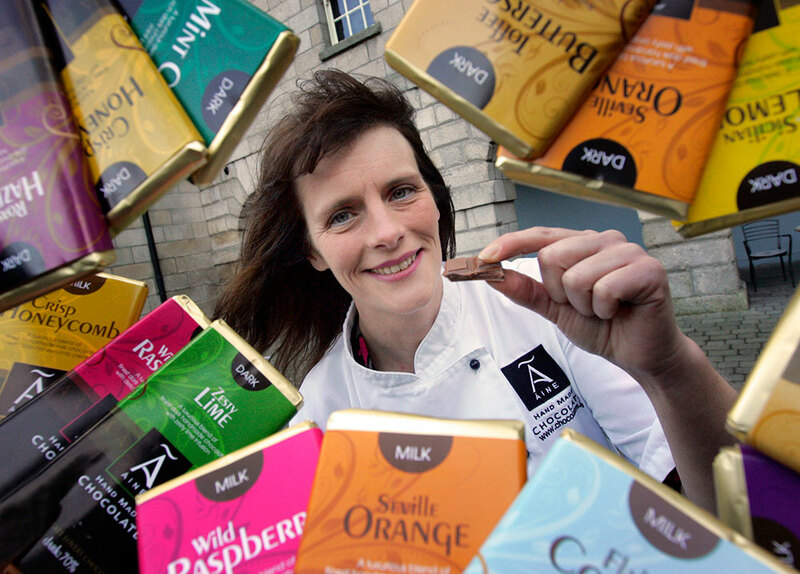 Based in Stradone, Co. Cavan the multi-award winning Áine Hand Made Chocolate has been making deliciously smooth and creamy handmade Irish chocolate since 1999. 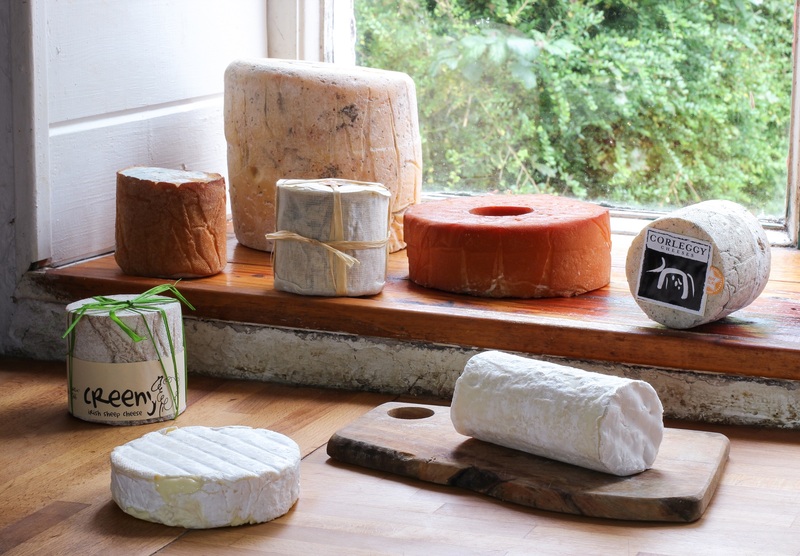 Corleggy means “Little Windy Hill” and this is where we make our award-winning Irish artisan farmhouse cheeses, handmade from wholly natural ingredients, in the traditional time-honoured way since 1985. Come into our dairy and smell the fresh morning’s milk and you will understand our passion for making raw milk cheeses. We believe that small is beautiful, and every cheese is made by hand with production not exceeding 10 tonnes per annum between goats', sheep & cows’ milk cheeses. Based in Ballinagh, Co. Cavan, Moran's Homestore was founded by husband and wife team Kieron and Claire Moran. The Morans' philosophy is to always use the finest, freshest ingredients possible in their beautiful jams, chutneys & relishes, and source as much as they can from local growers and producers. All ingredients are prepared fresh by hand. 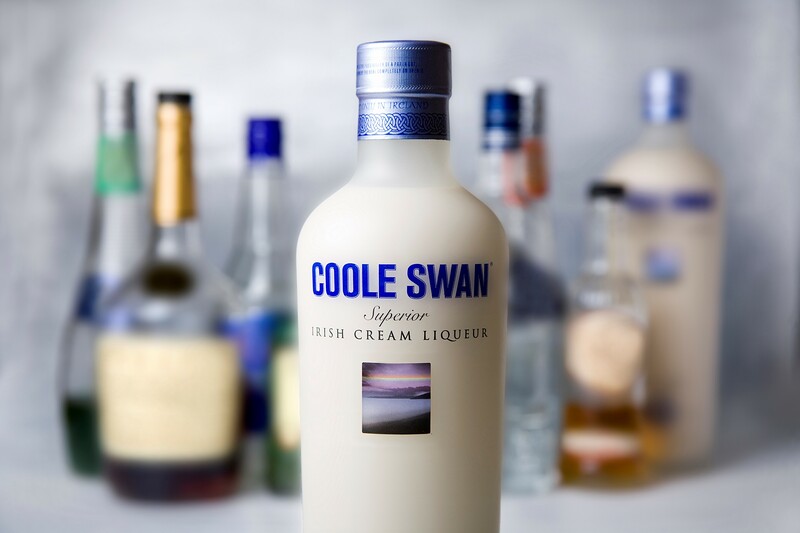 Coole Swan is all about the Taste, which is why we only use the finest ingredients: Single Malt Irish Whiskey, White Belgian Chocolate & the Freshest Cavan Dairy Cream. 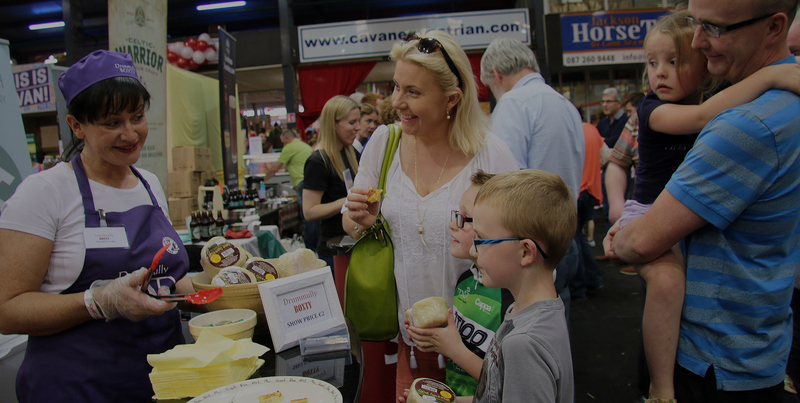 Don't just take our word for it; come and taste it for yourself at Taste of Cavan. Situated on the banks of the scenic river Erne in Belturbet, Co.Cavan, Felix Cropp's organic farm is proud to be one of the first registered organic farms in Ireland. Felix keeps a flock of three hundred sheep and a small herd of cattle. 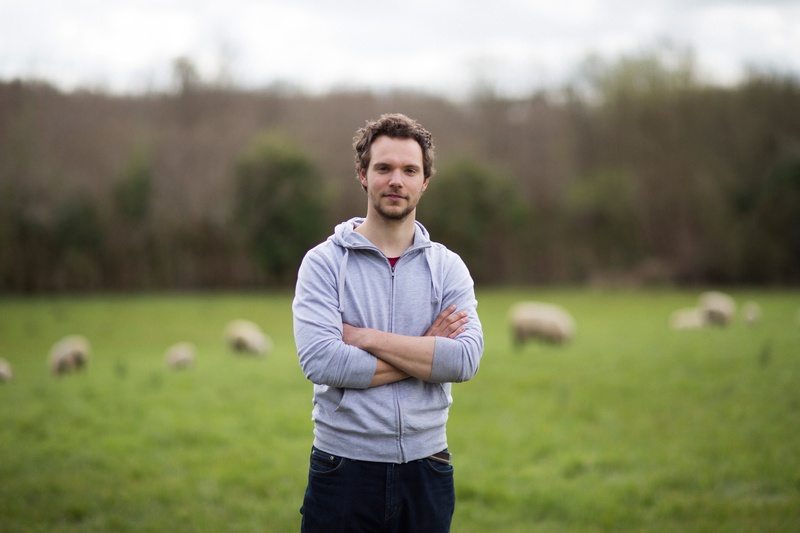 He supplies his organic grass-fed lamb to many restaurants, including local Cavan restaurant The Olde Post Inn. The quality of Felix's produce has been the subject of great critical acclaim from the likes of Ernie Whalley, food critic with The Sunday Times and John and Sally McKenna. For the first time, Felix and his team will be cooking up some of this delicious lamb at the Taste of Cavan for everyone to get a real taste of the county. 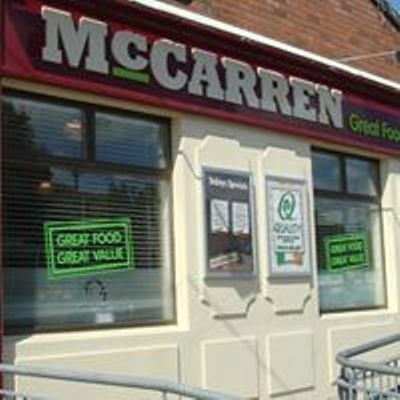 We are a family-run business situated in Co Cavan, the rural heartland of Ireland. 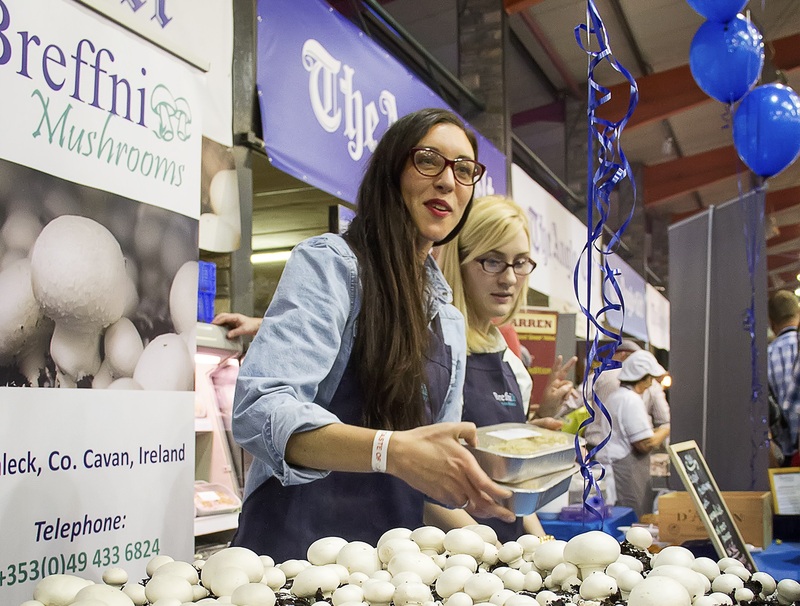 At Breffni Mushrooms we have 250 employees and 80 mushroom growing rooms producing over 500,000lbs weight of mushrooms per week. These are produced from our 3 family owned farms with years of experience perfecting the mushroom growing process. Paul & Nan Farrelly have been making the delicious Irish favourite, Drummully Boxty in Drummully, Killeshandra, Co. Cavan since 1983. Drummully Boxty dumplings are gluten-free, low in fat, and are made from the very best real Irish potatoes, and are now a family favourite, recommended and enjoyed by coeliacs and slimmers all over the country. 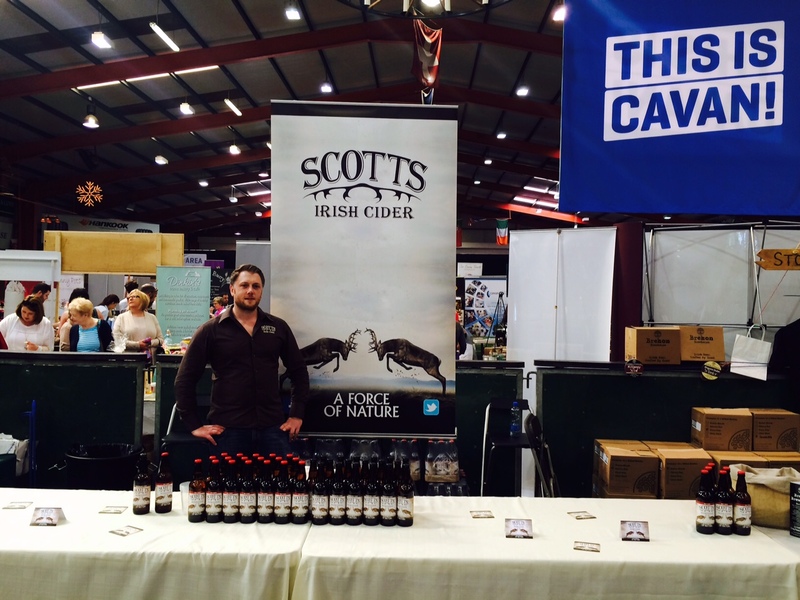 Scott's Irish Cider is an artisan, handcrafted Irish cider made in County Cavan by the Scott family. Scott's Irish Cider is a delicious and beautifully blended cider with a crisp and refreshing apple taste.This sophisticated cider is handcrafted to ensure its superiority and opulence. 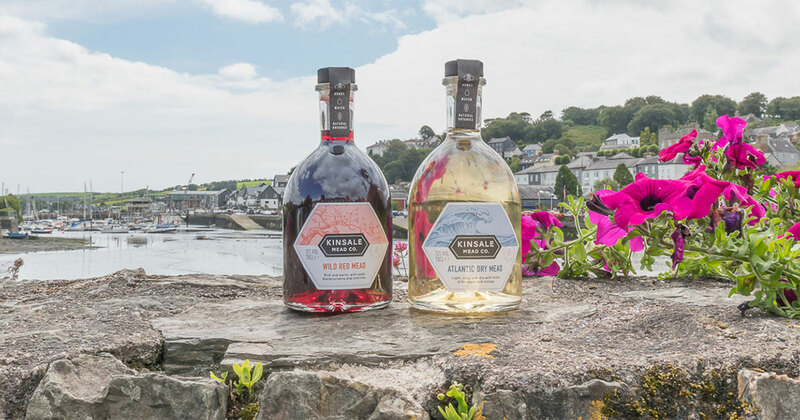 A great alternative to wine with poultry, seafood, pork and mild cheese or to drink on its own, it is a natural product made from Irish grown apples. Scott's Irish Cider is vegan friendly and gluten free, made with no artificial colourings or flavourings. Artisan meats and sausages from Cavan Town featuring award winning sausage recipes such as Emmental Cheese and Roast Onion, Chocolate Chip and Homecomb, and Bacon and Cabbage. 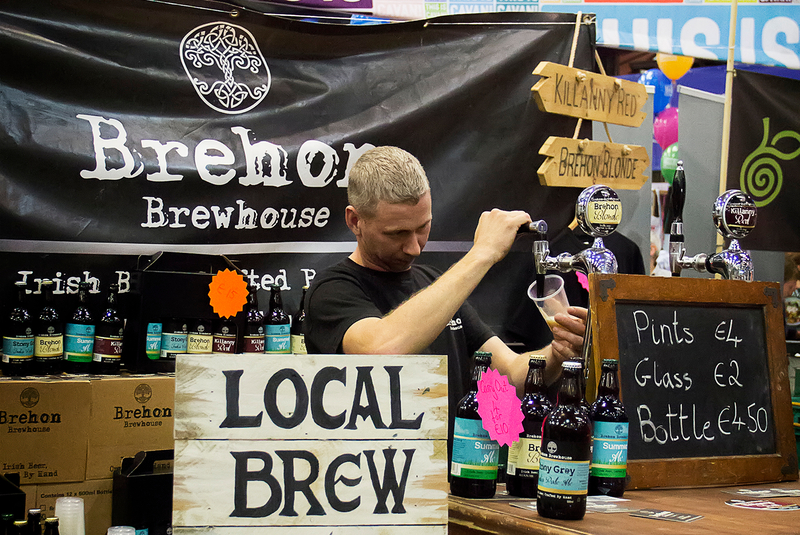 Irish Beer, Crafted By Hand. Our small brewery is housed on the farm, just a short distance from the old homestead, amongst the rolling drumlins of County Monaghan. Our aim is to create distinct beers that are brewed with care and affection. Phil our brewer has created a range of well balanced and flavoursome ales that reflect the changing face of of the beer market in Ireland. 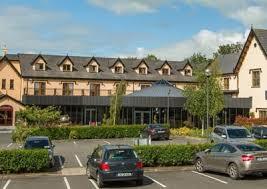 Cavan Crystal Hotel provides a 4-star luxury hotel in Cavan Town. Contemporary at first glance, but traditional in its warmth and welcome, it is one of Cavan's finest hotels. Ideally located less than five minutes away from Cavan Town Centre, the hotel boasts 85 superbly appointed en-suite rooms. Excellent cuisine is one of the many things that makes Cavan Crystal Hotel the perfect destination for a leisure break. The award winning Opus One and the beautiful Atrium Bar offer guests a fabulous choice of dining experiences to enjoy in style. 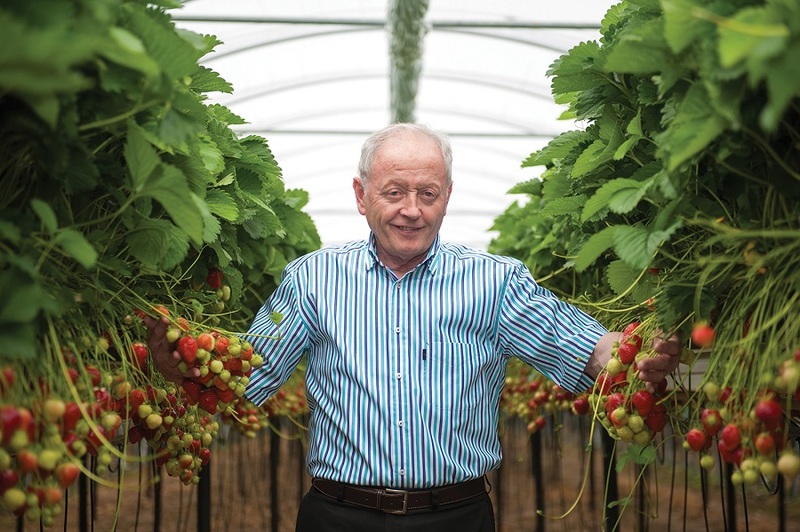 Clarke’s Fresh Fruit is a family-run business in Stamullen, County Meath, currently growing fifty acres of strawberries, raspberries, blackberries and blueberries. Owner and Director Pat Clarke is a Bord Bia quality-assured soft fruit producer who has established an excellent reputation for the production of quality fresh fruit over the past 50 years. More recently Clarke's has launched a premium jam range, made only with fruit from the family farm. 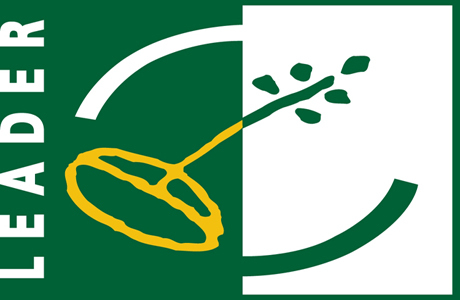 Keogh's Farm is a family owned and run potato growing and crisping business based in North County Dublin. The Keogh Family has been farming the rich fertile lands in this area for over 200 years and now produce Ireland’s only “hand cooked on the farm” artisan potato crisps since 2011. Special crisping potato varieties are chosen, grown in fertile soils and harvested with extra care and a lot of love - from crop to crisp! All varieties are gluten free. 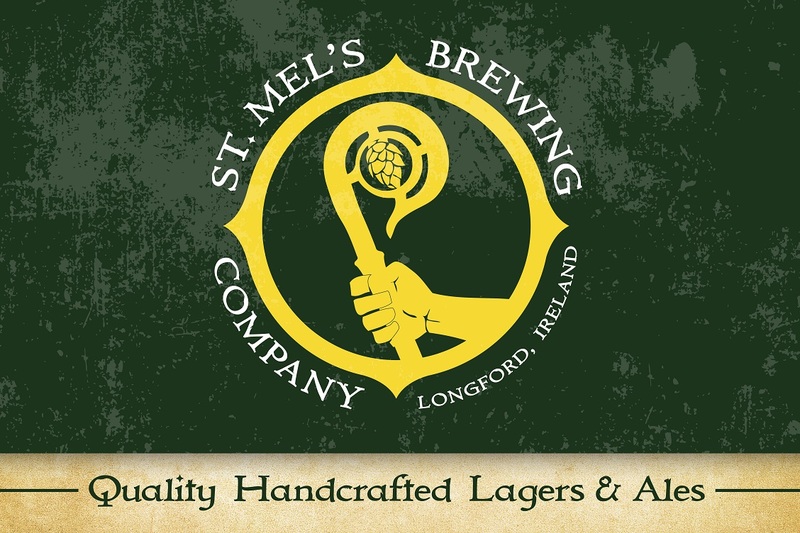 St Mel’s Brewing Company is an Irish-owned independent brewery, whose mission is to brew the highest quality beers from the best possible ingredients, combining innovation, passion, and tradition. All our beers are made from 100% natural ingredients: water, malted barley, hops and yeast. They are chemical-free, and preserved by the natural qualities of the hops and alcohol. We hope you enjoy our beers and if you haven’t already, convert to craft beer. 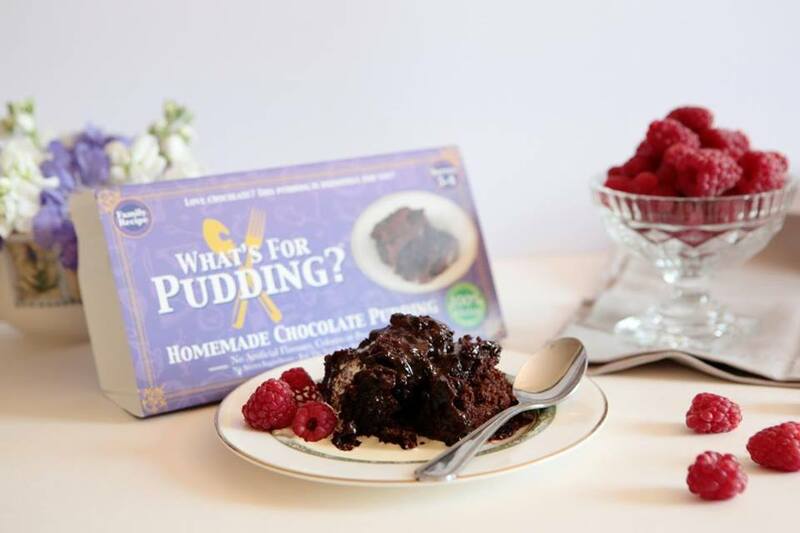 Royal County Puddings - What's for Pudding? For years, the Flaherty family of Kilmessan, Co Meath, have made really delicious dessert puddings, full of all the superior tastes of authentic, homemade fare. The combination of great ingredients, time, and attention to detail ensures that you will taste the difference in every delicious spoonful of these premium, homemade puddings. 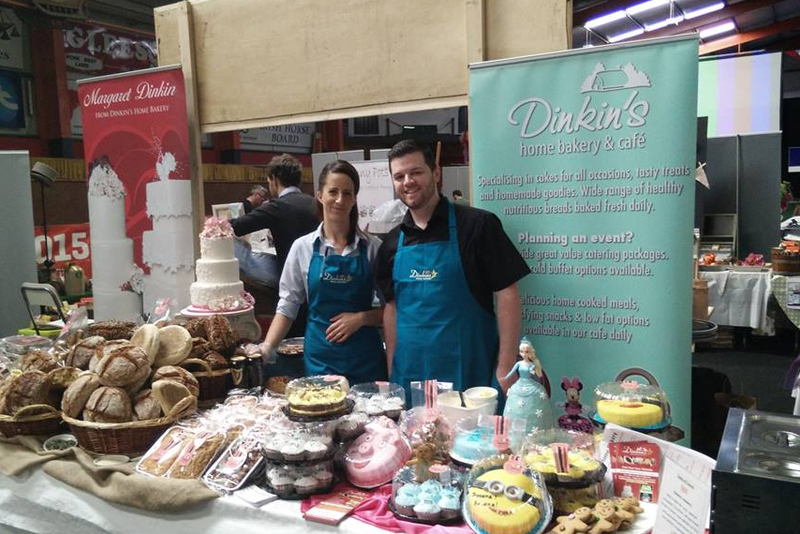 Dinkin's is a family-run business with eight home bakeries and cafés based around Counties Cavan and Monaghan, which has been in business for over 35 years. Our delicious cakes, goodies & speciality breads are freshly baked daily in our bakery and we pride ourselves in using only the finest ingredients, (no packet mixes here!) locally sourced wherever possible. Established in 1998, Simply Irresistible is a family-run business that caters for all types of occasions from private parties to big corporate events, using the best quality local produce. Urban Indian is a family-run business based in Dundalk, Co. Louth. We passionately produce unique flavoursome chutneys, sauces and snacks from a range of tasty spices. Cooking as a hobby soon turned into a small business where we combine authentic Indian flavours and recipes from our ancestors with a modern twist. Cornude Artisan Popcorn is a 'made to order' offering of luxury popcorn for events nationwide. Cavan native, Ruth Ormiston makes her luxurious popcorn by hand in small batches. All her coatings are made of hand-chosen, vibrant, and delicious ingredients, and every munch of caramel adorned with toasty nuts and chocolates, glows with warm vanilla and the allure of Irish butter. Cornude Artisan Popcorn is listed in the McKenna Guide's 'Best in Ireland' 2015 & 2016 and received 'Gold' at Blas na hÉireann. 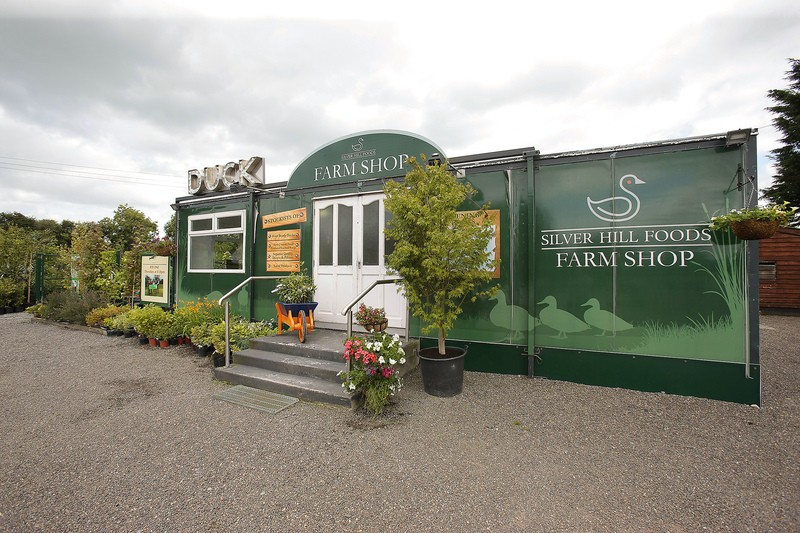 Silver Hill Farm is a fully integrated family owned duck company, founded over 50 years ago by Ronnie and Lyla Steele in Emyvale, Co. Monaghan, now managed by their son, Stuart Steele. All aspects of our duck production are owned and controlled by Silver Hill Farm from breeding, egg production, hatching and selection to processing and cooking. Silver Hill duck is full of flavour, succulent, tender and consistent in its quality. St Patrick's Distillery produces spirits of character, taste and personality. Using small batch artisanal methods, they produce a 100% Potato Vodka and a variety of Potato Gins. The added bonus of a grain free distillation is that it’s also naturally gluten free. Admire the rolling hills and rustic beauty of Cavan, where this hotel is situated on 1,300 acres of rural Ireland in a lovely 16th-century estate. 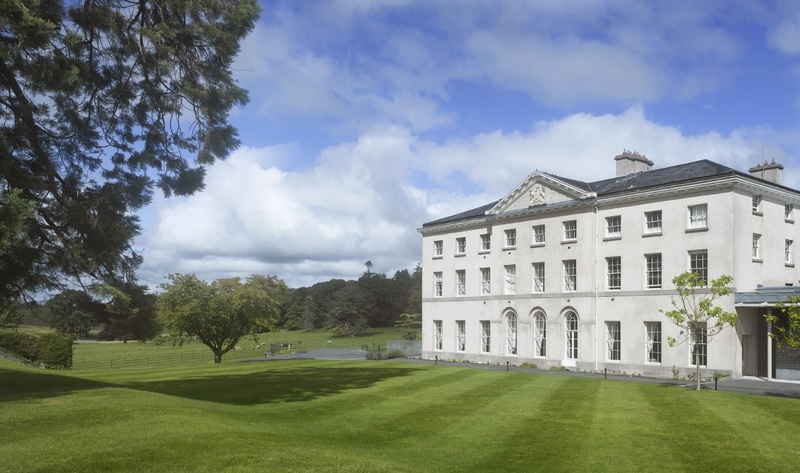 Though in a natural setting, the hotel is 3km from Cavan, giving you the seclusion of a country estate, and the humming atmosphere of a vibrant town. Enjoy free high-speed, WiFi, sample fresh, locally sourced dishes, and pamper yourself at the award-winning spa. A unique homebakery based in Cavan, offering a range of gourmet muffins and cakes for any event; birthdays, Christenings, weddings, office parties..
Crumblelicious, is a new venture by Mr Muffin Man, it takes a twist on the classic apple crumble using the finest ingredients served in individual containers. The Millionaire's Crumble, a layer of apples, creamy caramel and crunchy crumble made with Irish butter, oats and flour. It is homemade and handmade right here in County Cavan. Elena's beautiful jewellery is hand made in County Cavan, and carries the Dublin Castle assay mark of purity, guaranteed made in Ireland. The amazing intricacies of Celtic metalsmiths, early illuminated Irish manuscripts, the art of ancient Rome, and the wonderful Art Nouveau & Art Deco periods have all had a strong influence on her work. Rodrigo's Fine Foods are distributors of Curry Tree ready-to-cook Indian sauce mix, and SPICENTICE spice kits and rubs, based in Kanturk, Co. Cork. Visit www.rodrigosfinefoods.com. A family run, award winning, artisan, craft cider production company. We have been growing apples for over three generations and know only too well the importance of high quality apples within high quality ciders. All our products are natural with no concentrates or colours added and are produced from apples grown on our home farm. Our Motto - “From Plant to Pour”. 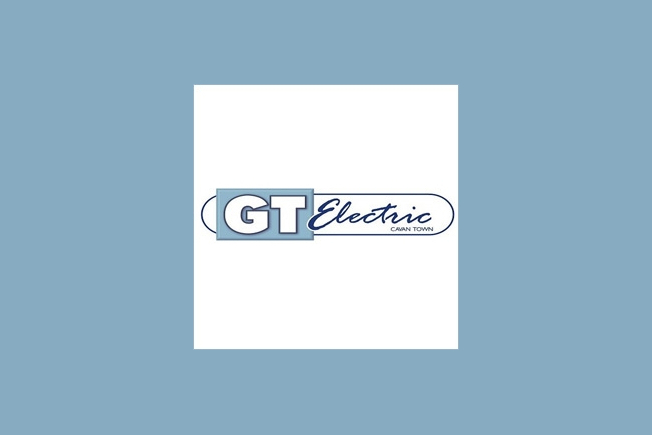 In business in Cavan Town for over 40 years, GT Electric sells kitchen appliances, televisions, and power tools, also stocking a large range of spare parts, and offering an appliance and power tool repair service.